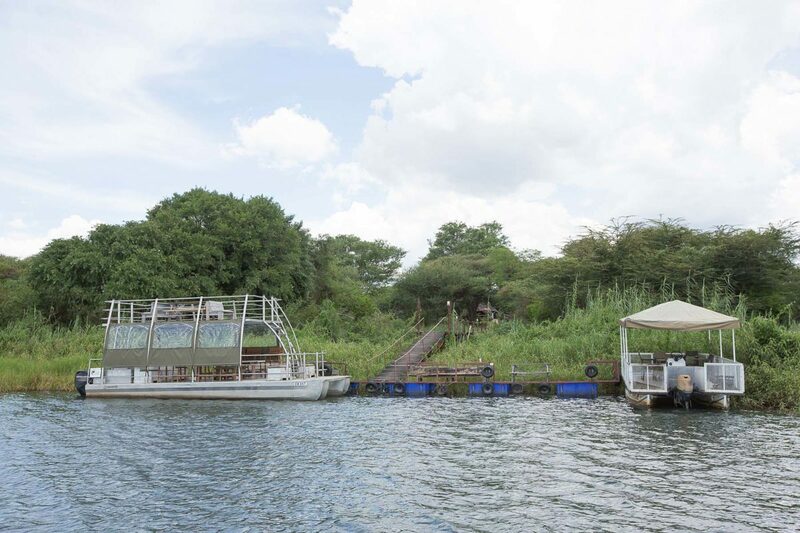 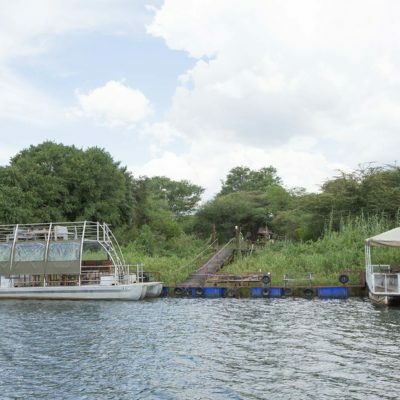 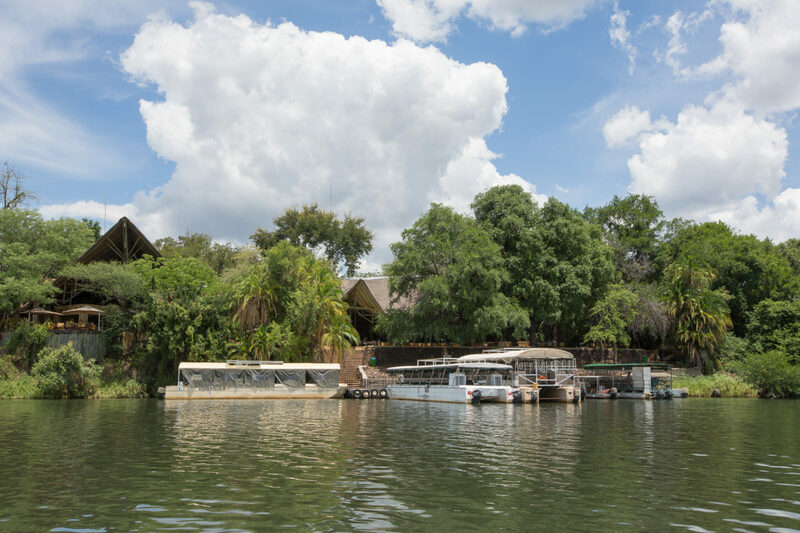 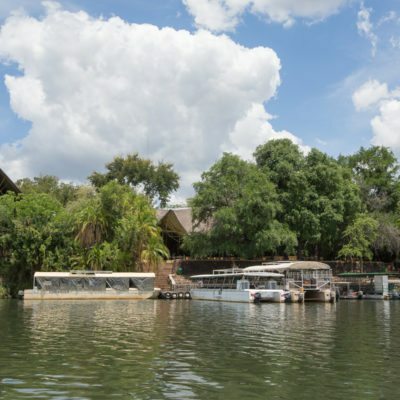 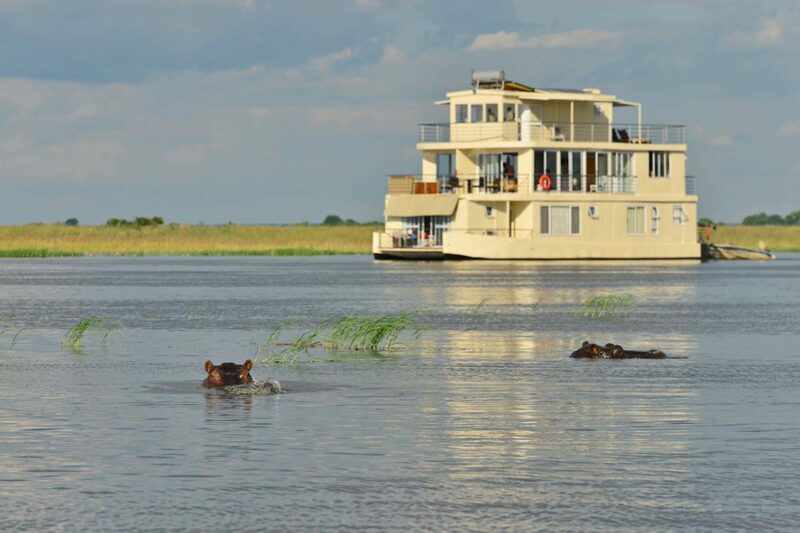 The concept of a “houseboat” may be novel to some – but the Chobe Princess Houseboat provides its guests with a unique experience hidden away from other tourists using the same park. 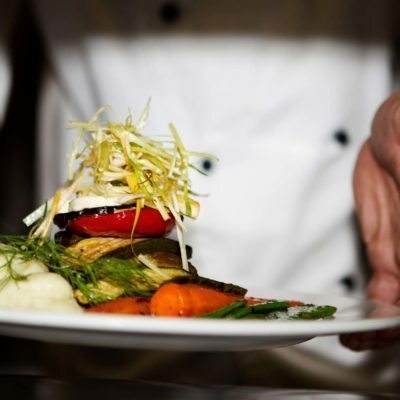 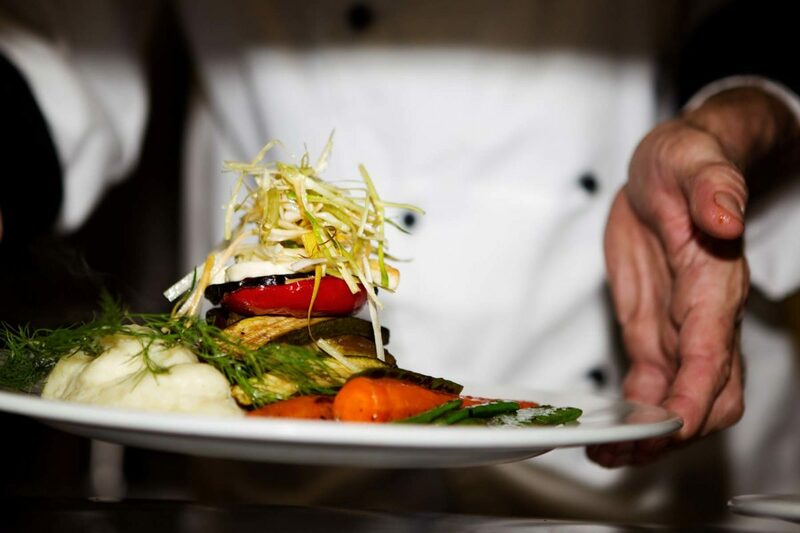 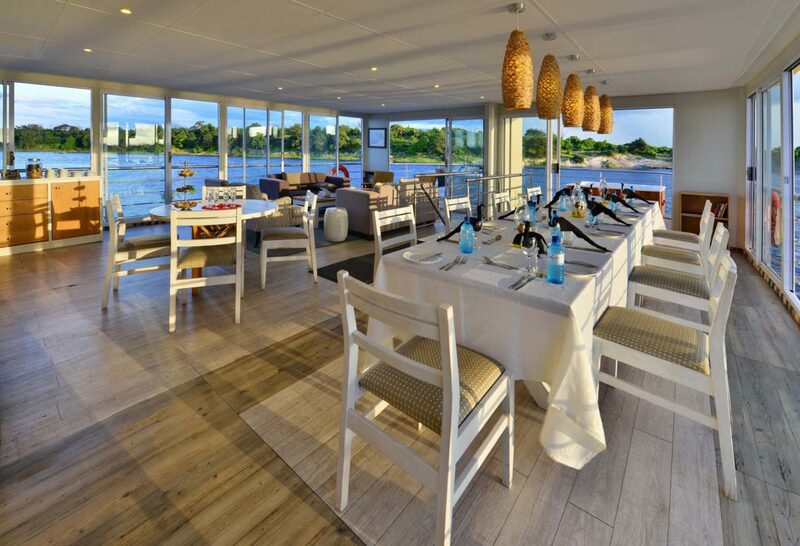 On board, you might forget that you are on a boat as it is so spacious and comfortable. 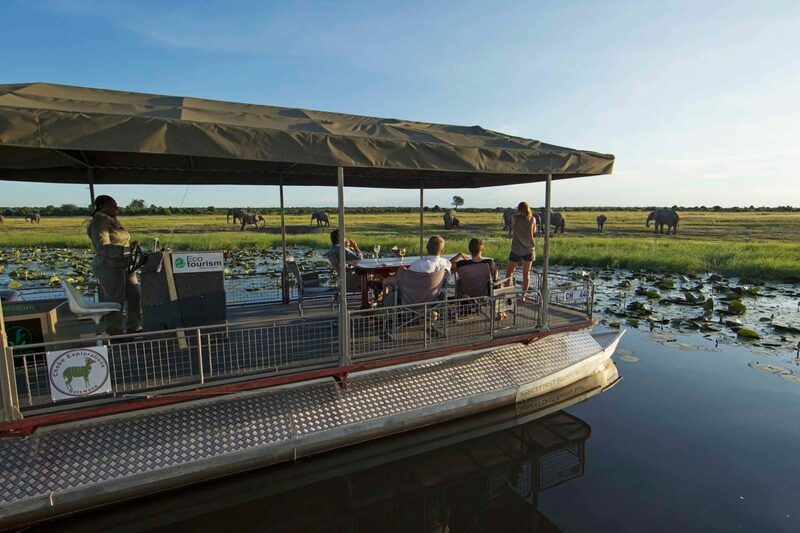 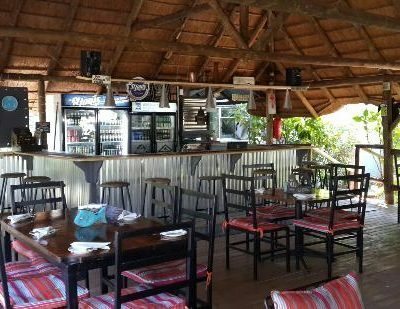 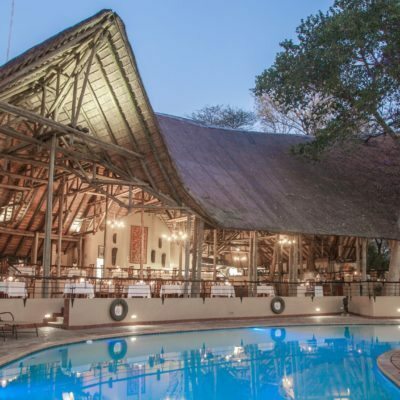 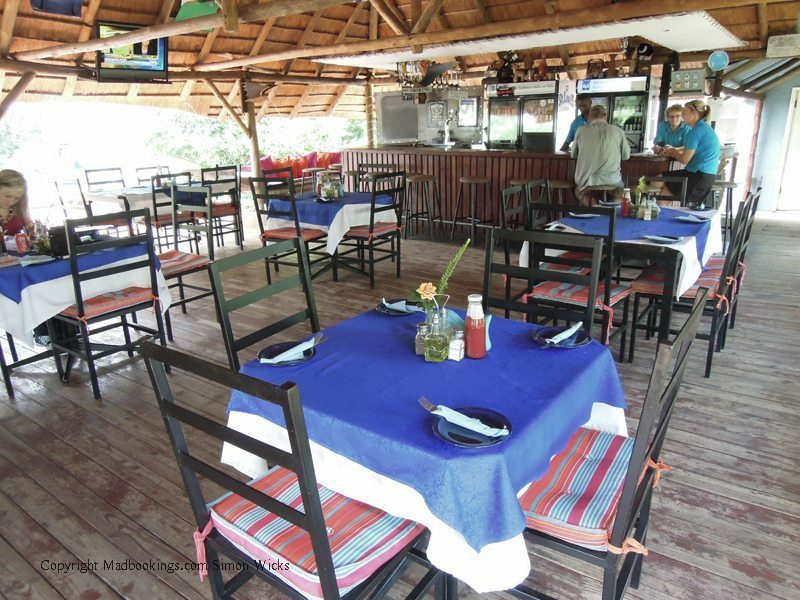 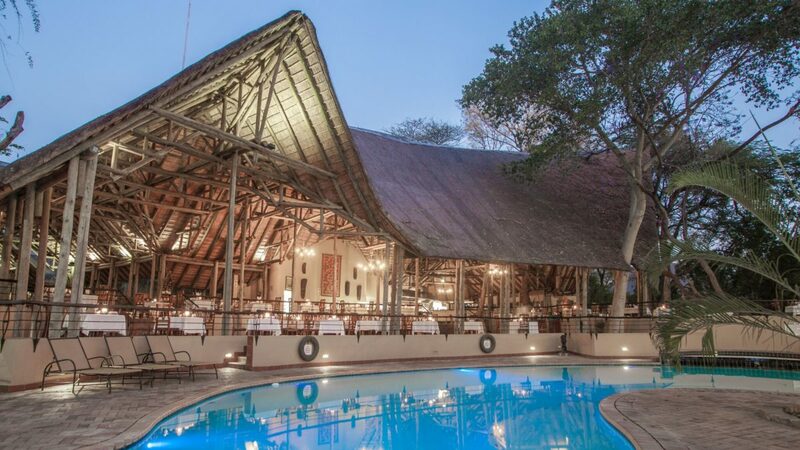 The open air top deck catches a cool river breeze and you can view 200 elephants drinking at the bank of the Chobe River while sitting in the boat’s plunge pool. 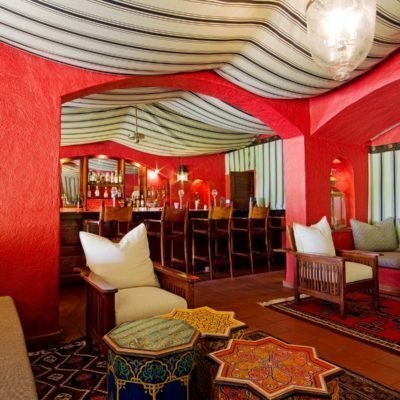 That is unique to say the least! 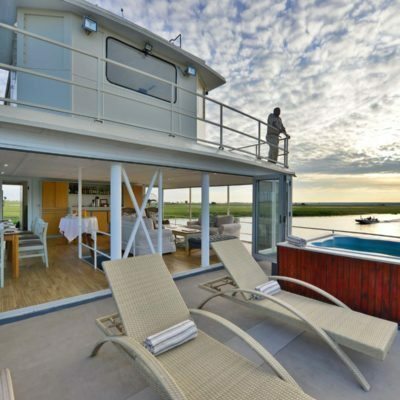 The house boats are operated and moored on the Namibian side of the Chobe river, but are not that difficult to access. 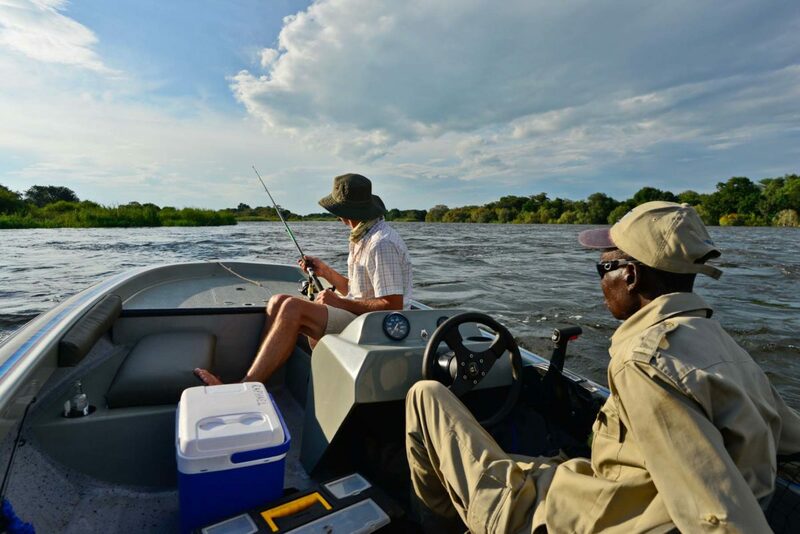 You must complete border formalities at immigration in Kasane before being taken by tender boat to a Namibian island for further Namibian border controls. 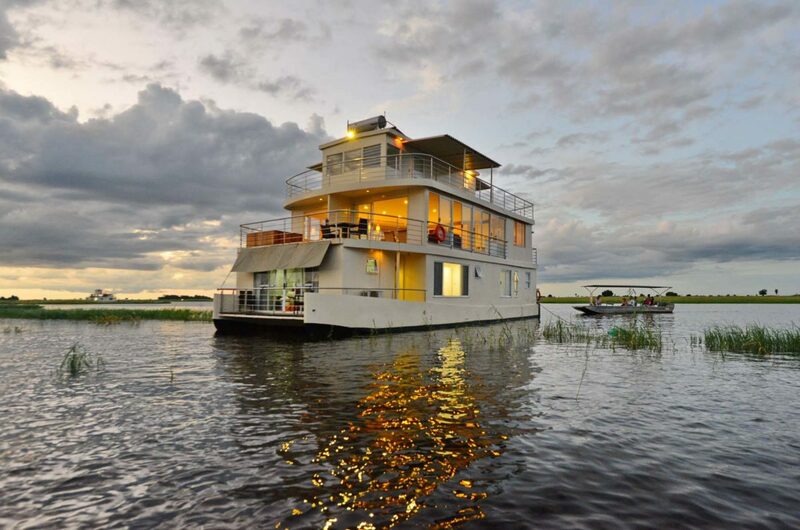 It is then a short boat ride to the houseboat, which moors at a different location each day. 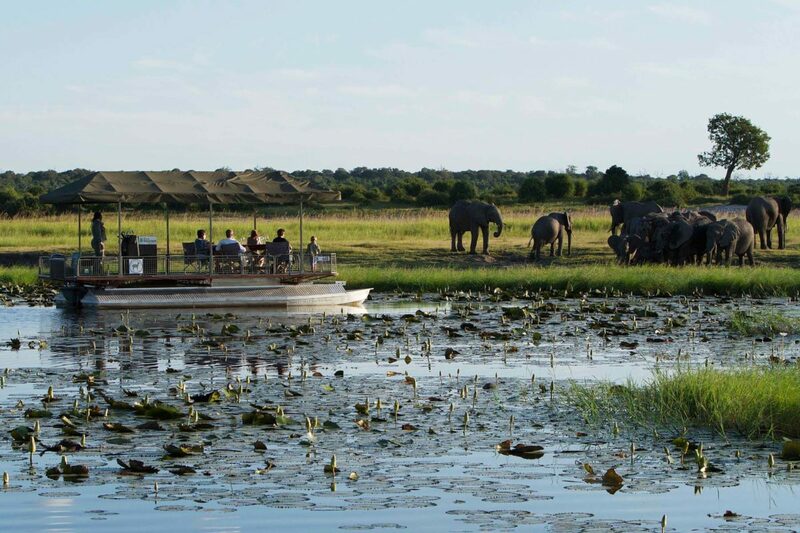 The houseboats move each day, never a huge distance and never quickly – just to find their next mooring location, maybe by a popular elephant drinking spot. 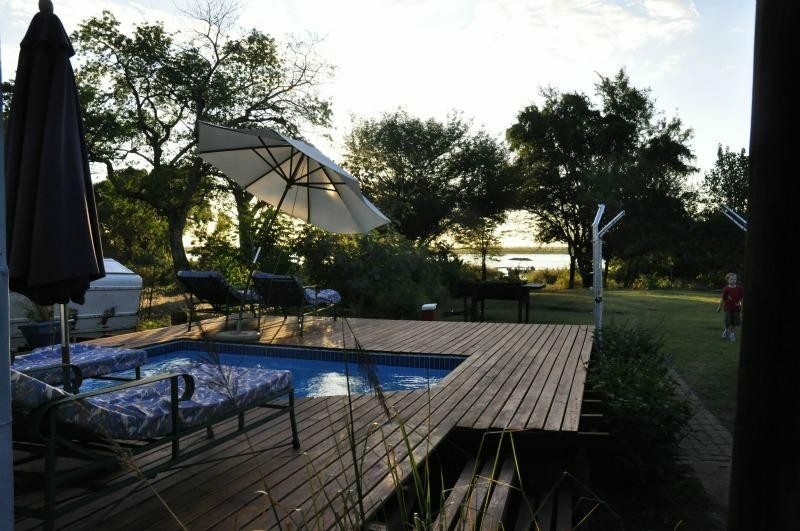 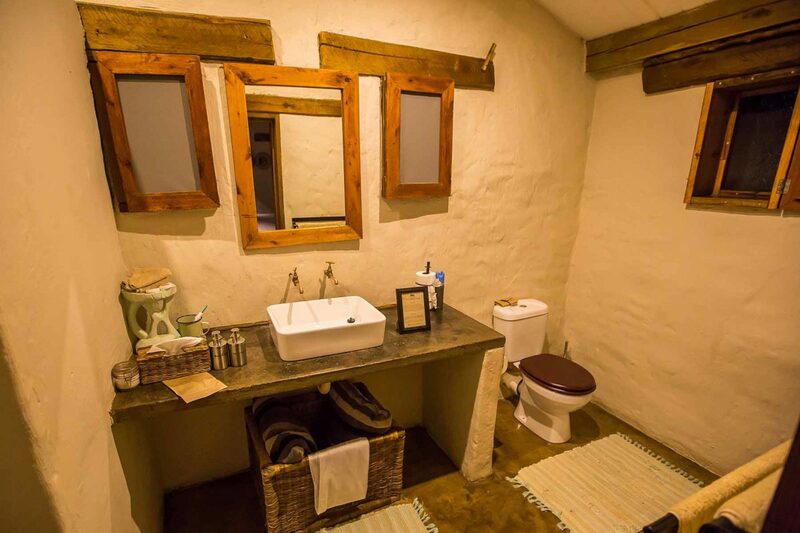 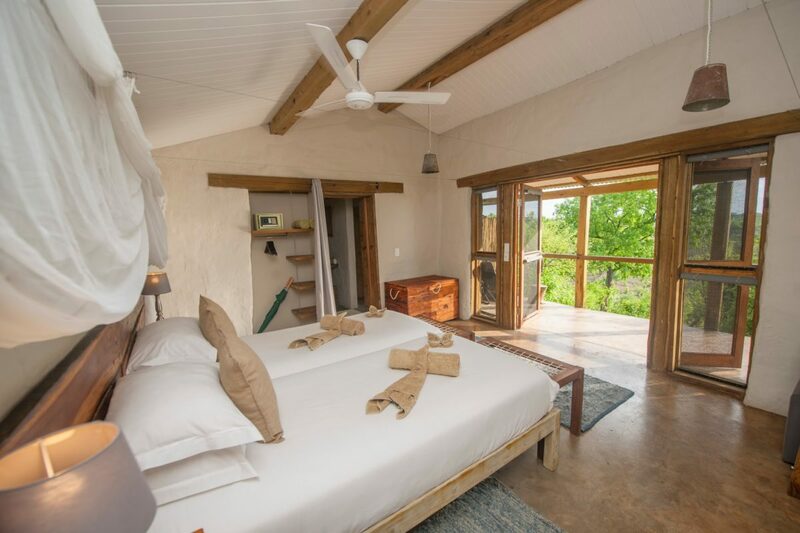 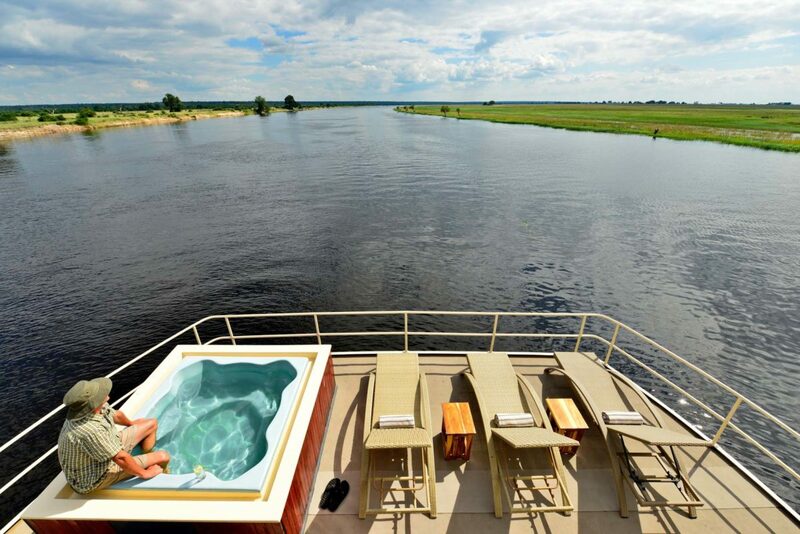 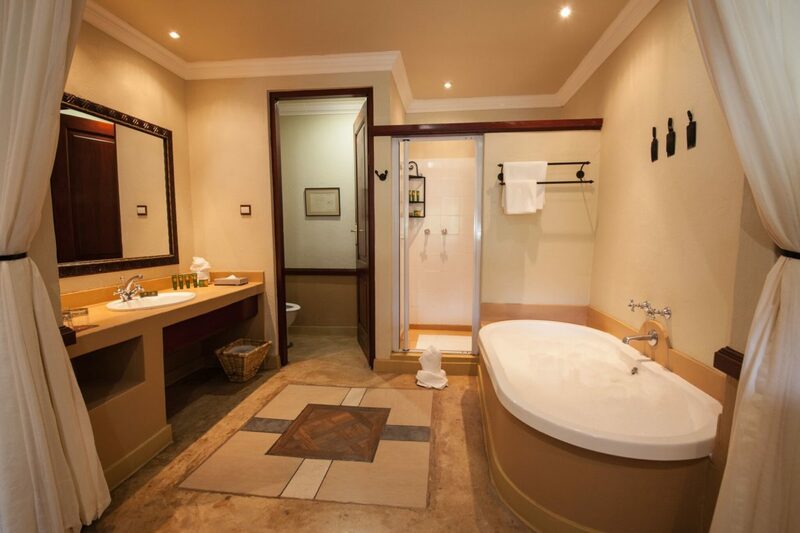 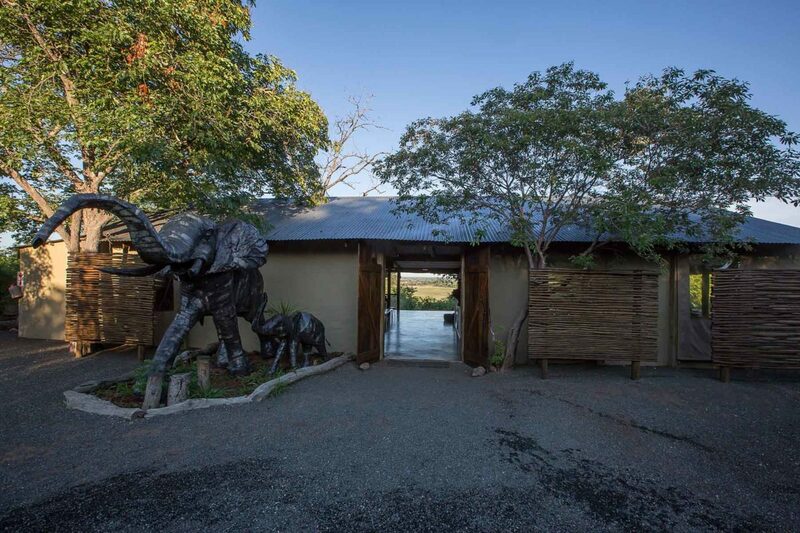 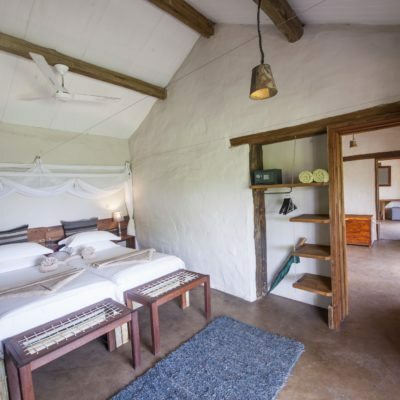 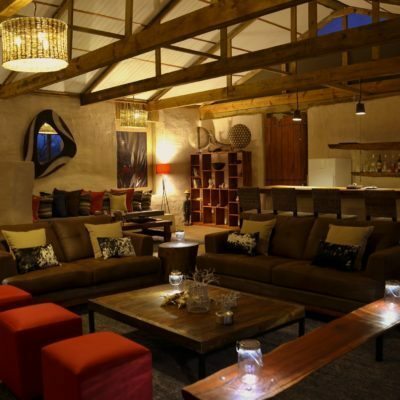 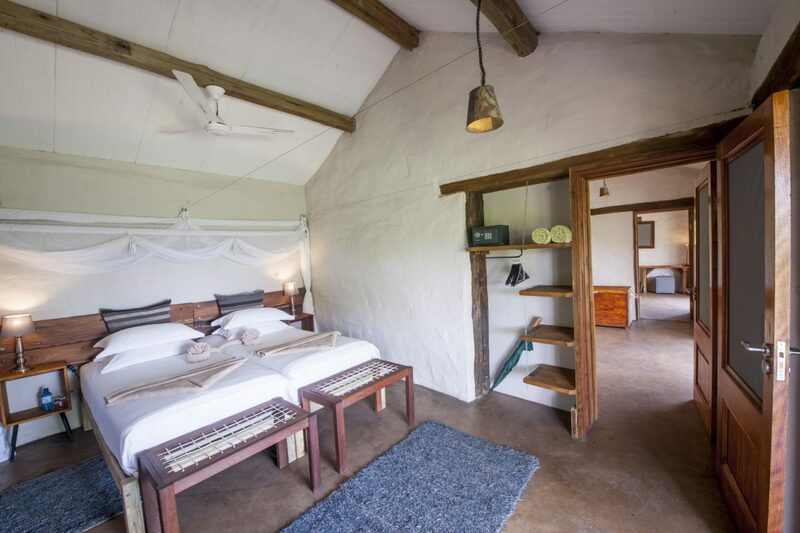 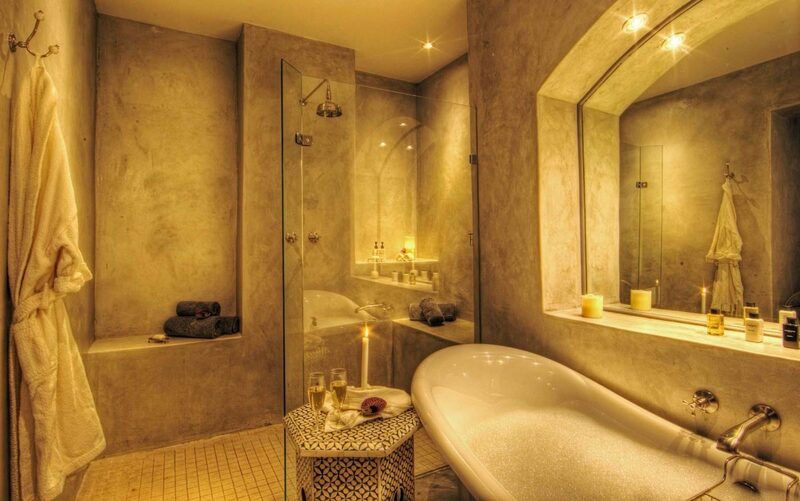 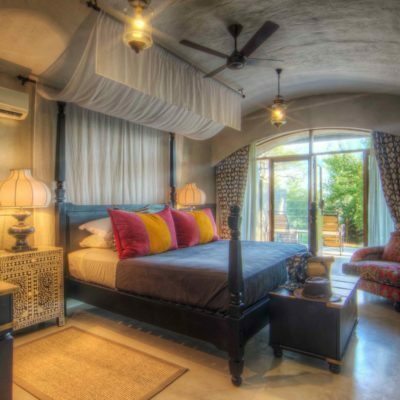 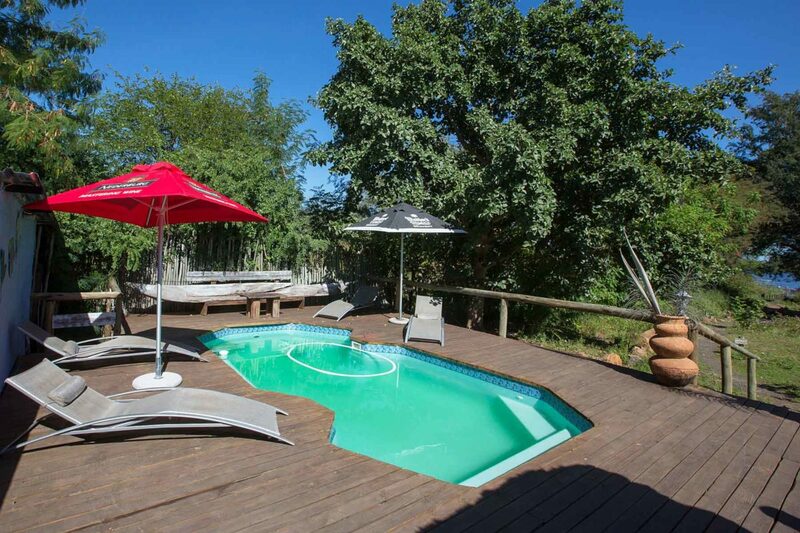 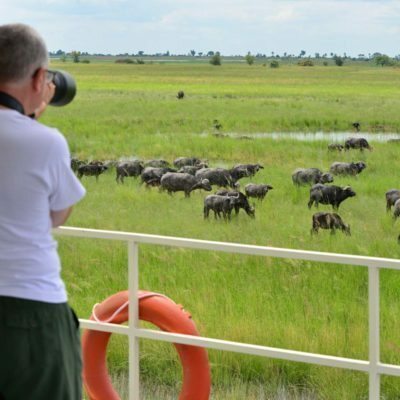 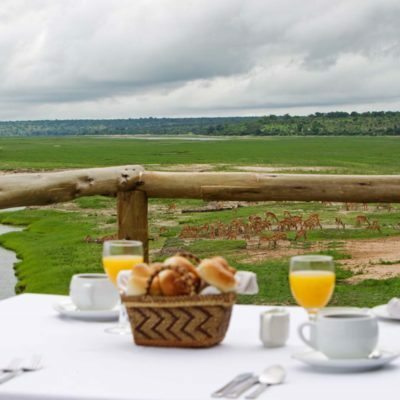 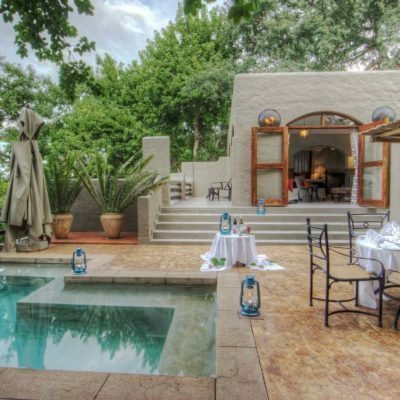 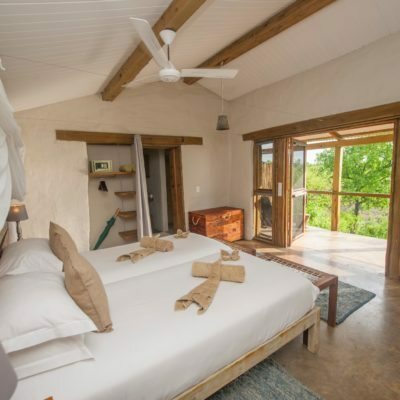 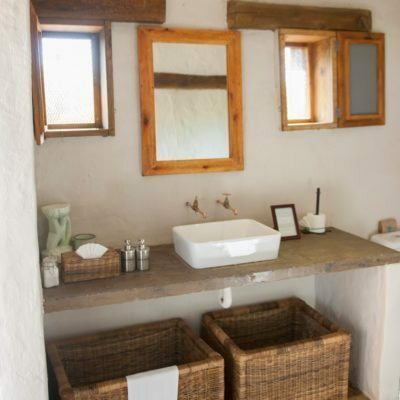 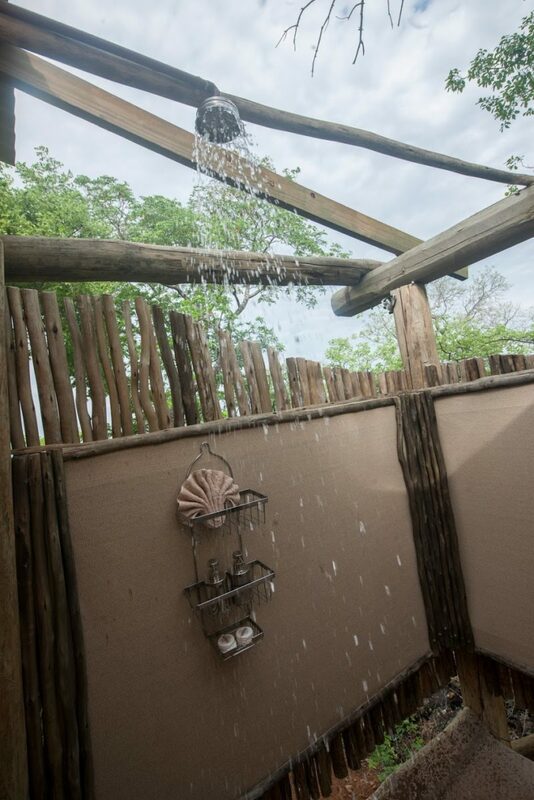 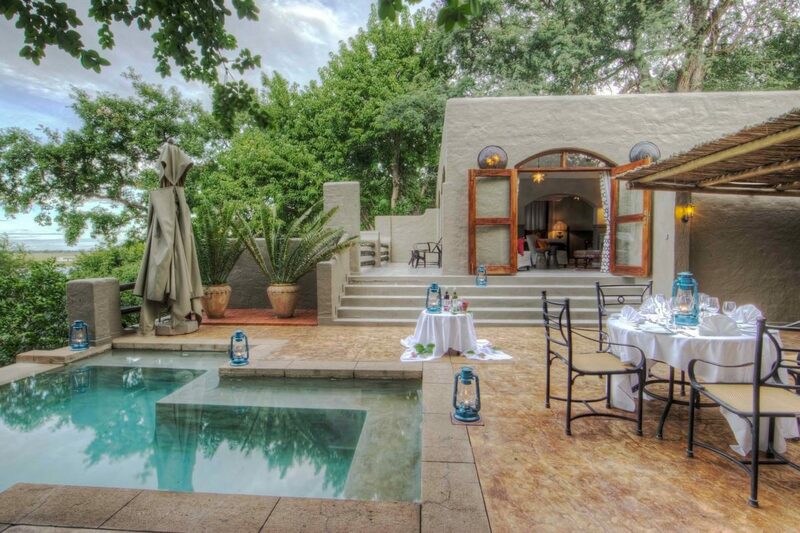 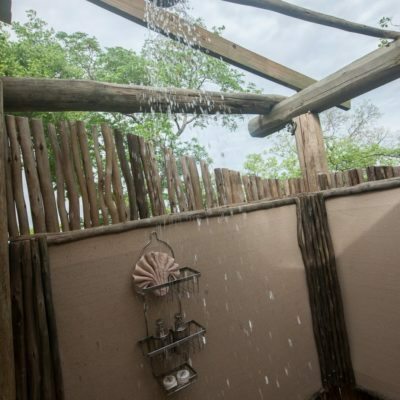 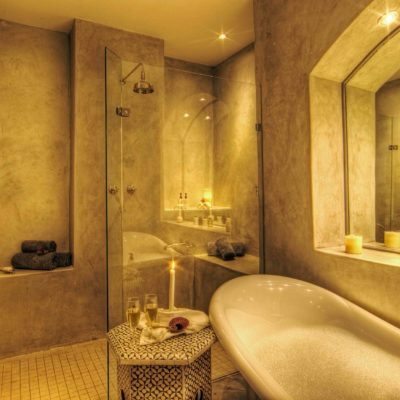 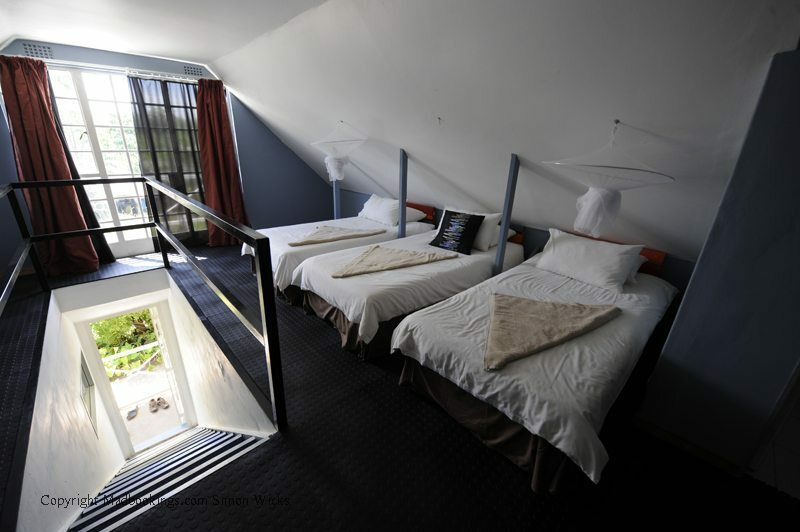 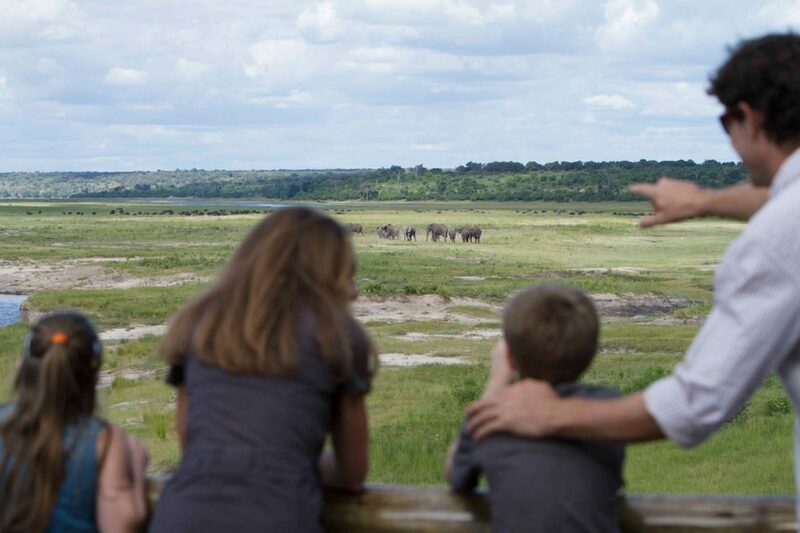 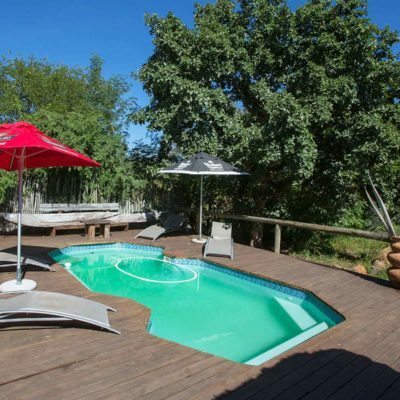 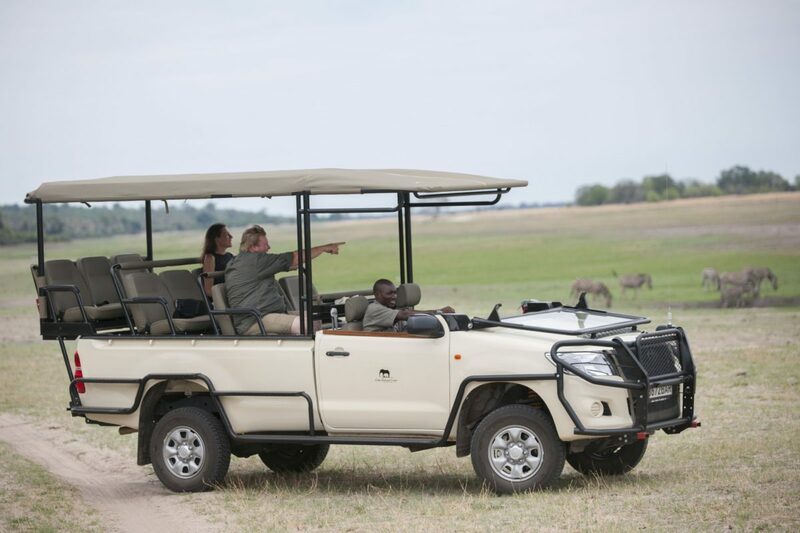 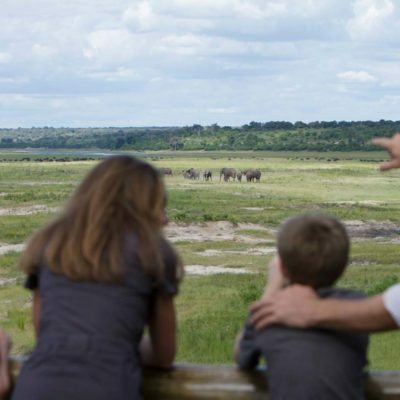 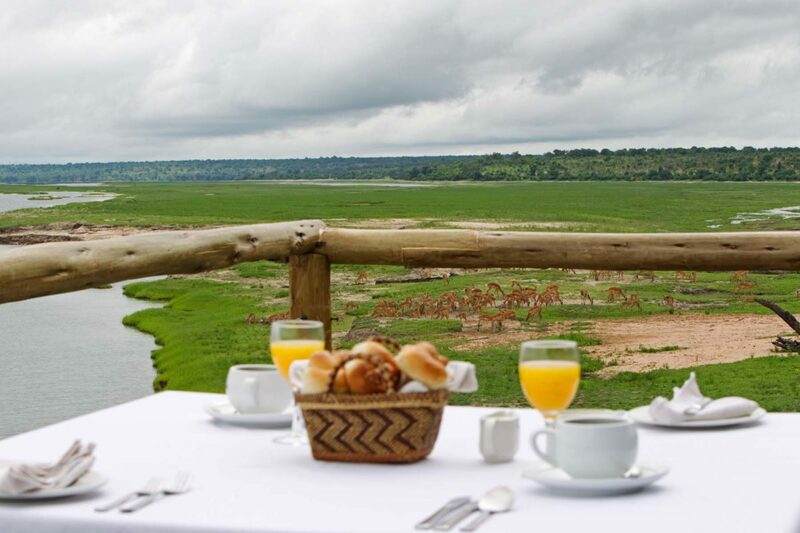 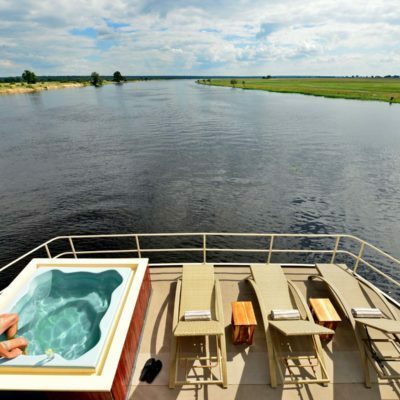 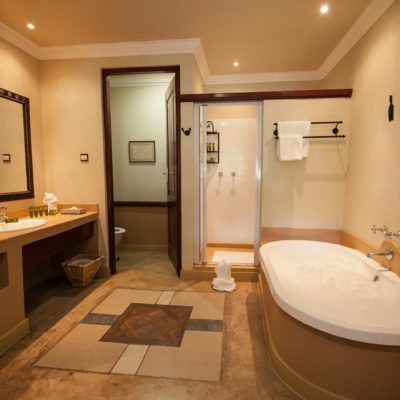 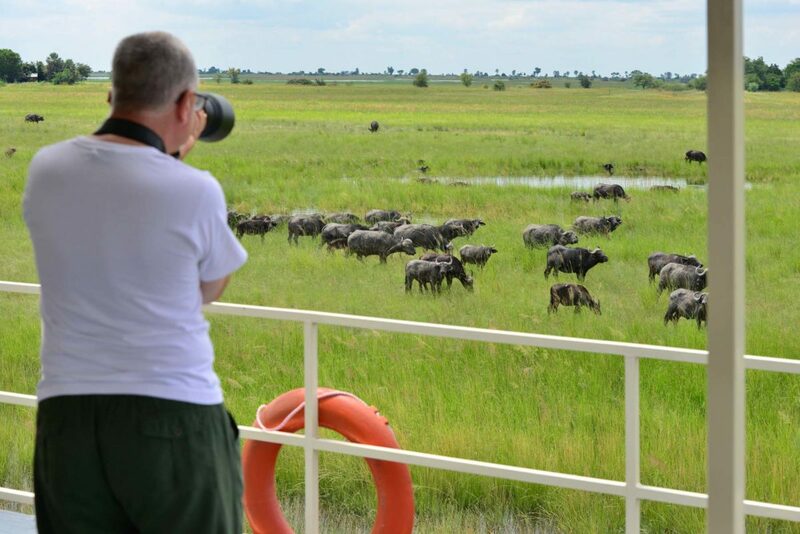 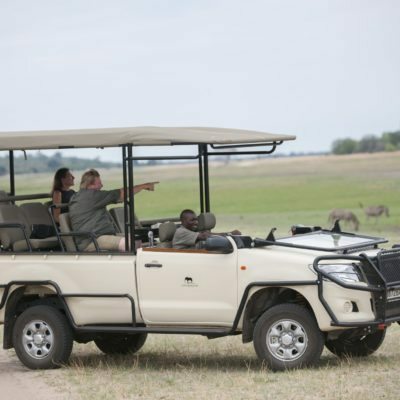 You can simply enjoy game viewing from the comfort of the houseboat, maybe even while having a dip in the plunge pool? 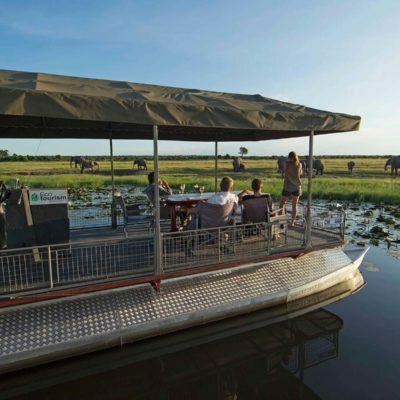 Or, you can use one of 3 tender boats for excursions out on the river. 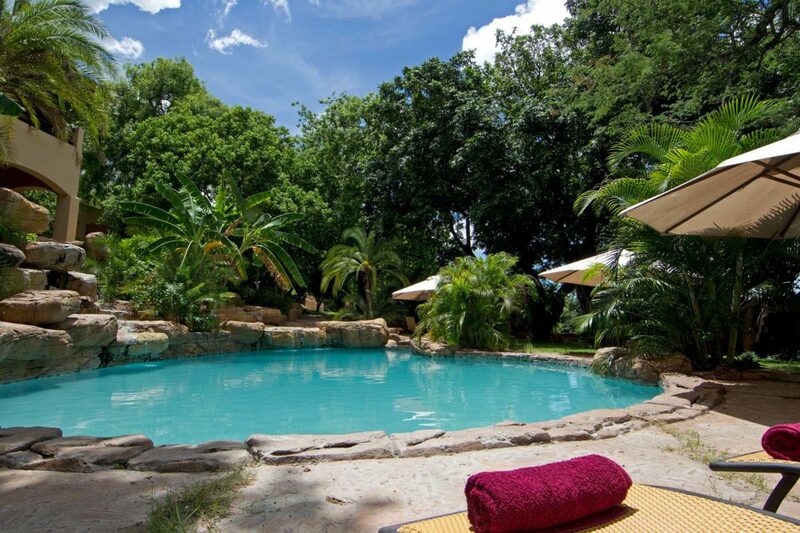 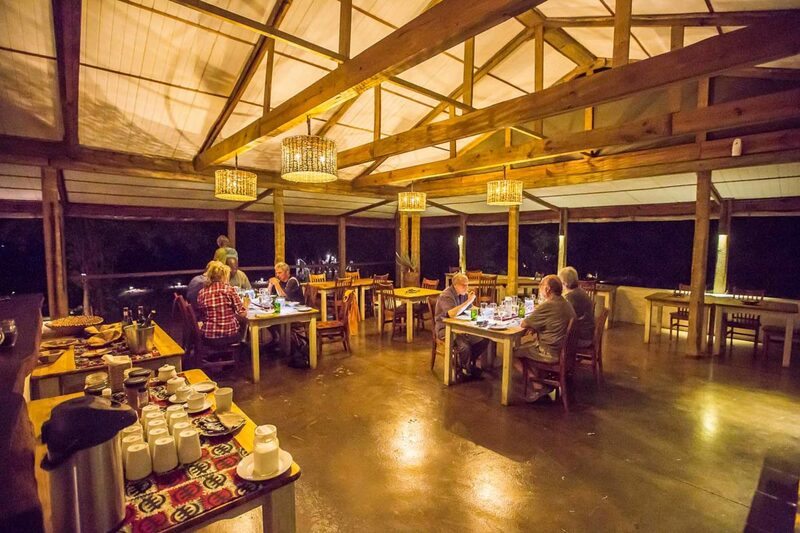 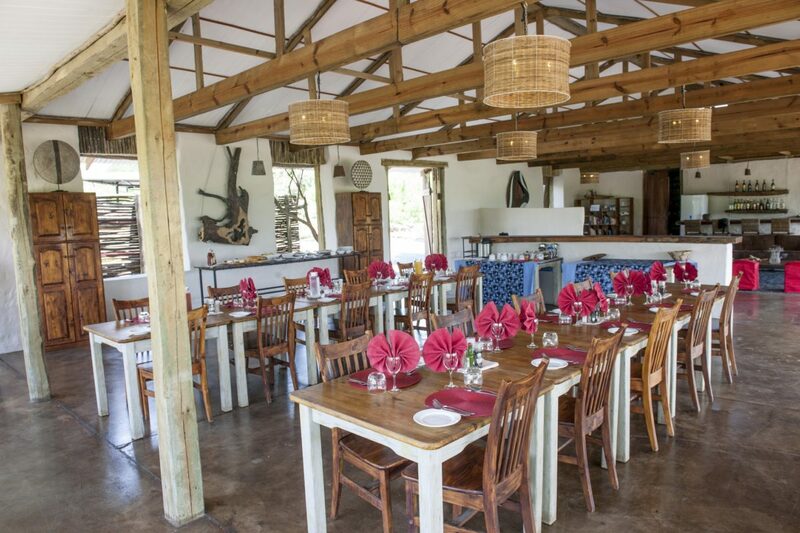 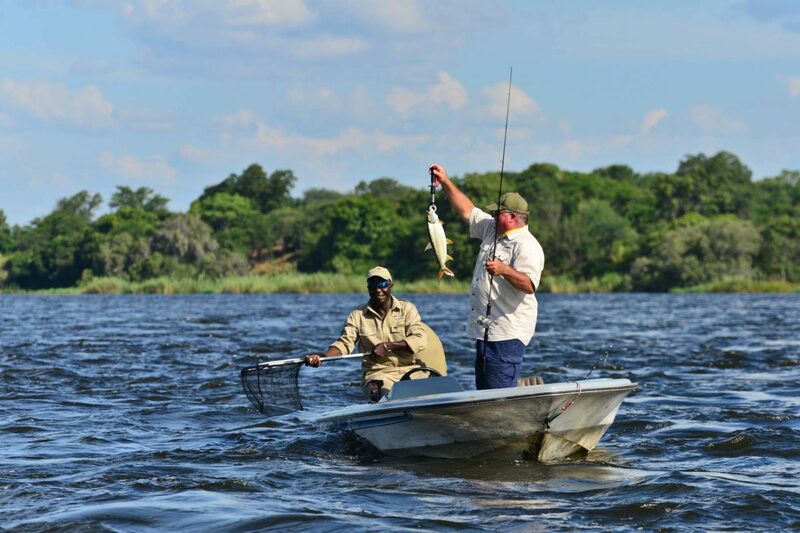 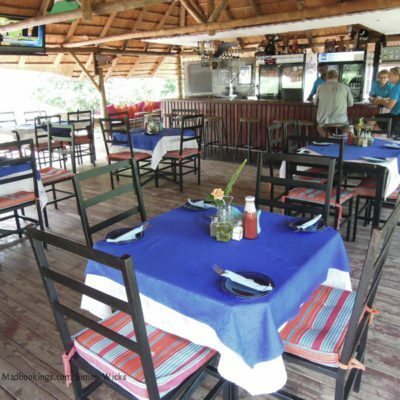 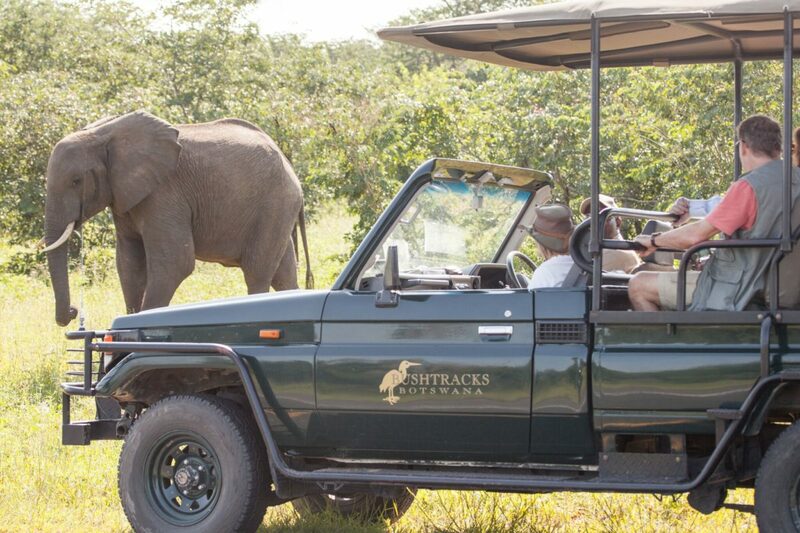 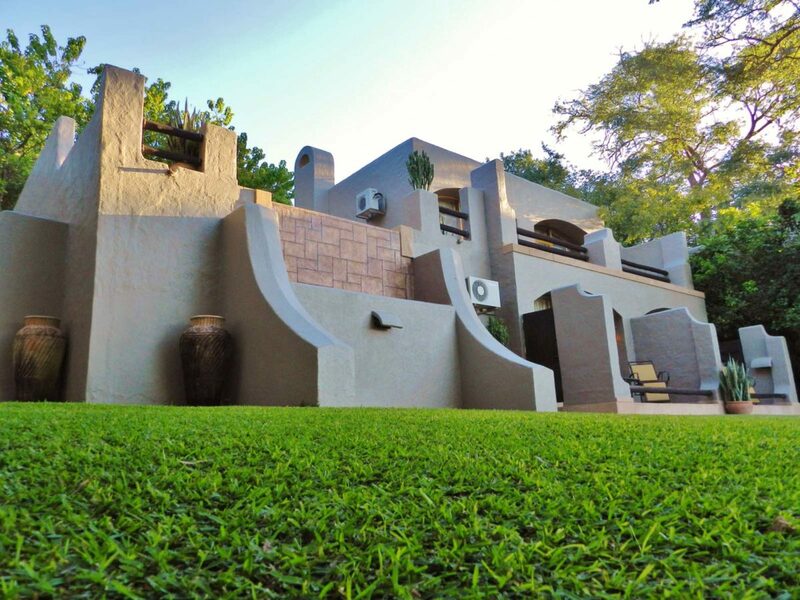 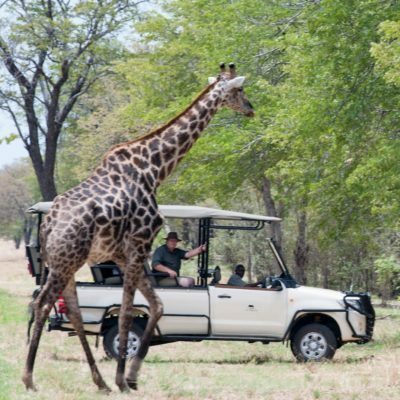 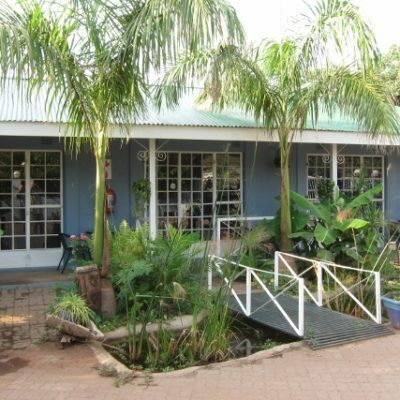 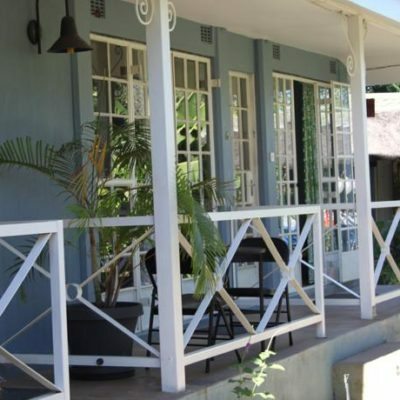 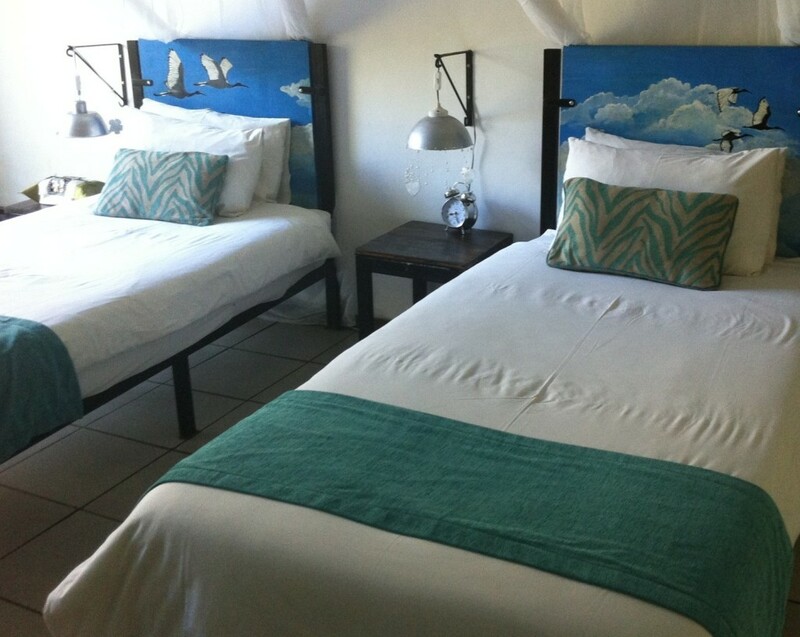 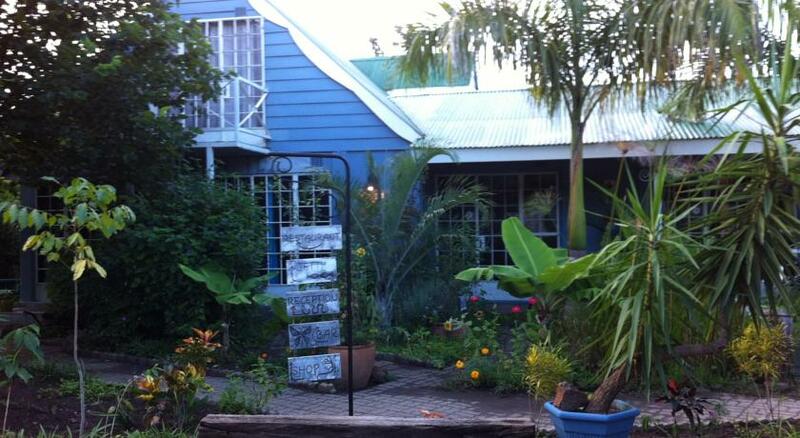 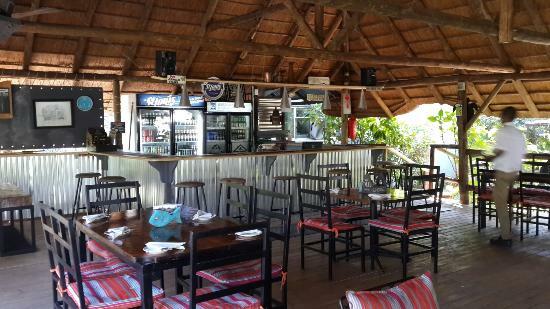 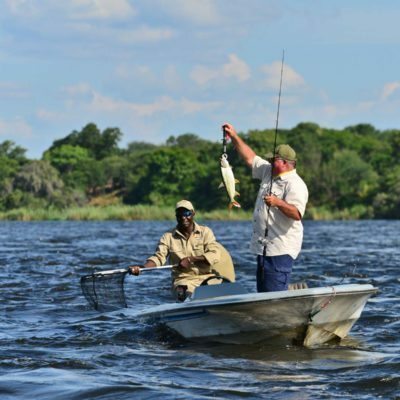 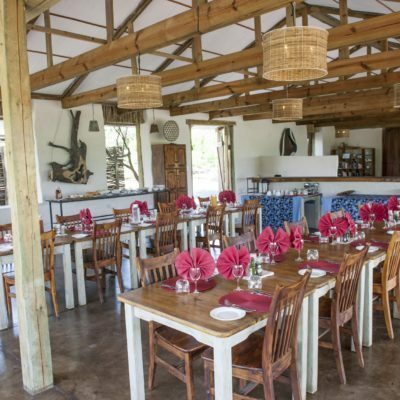 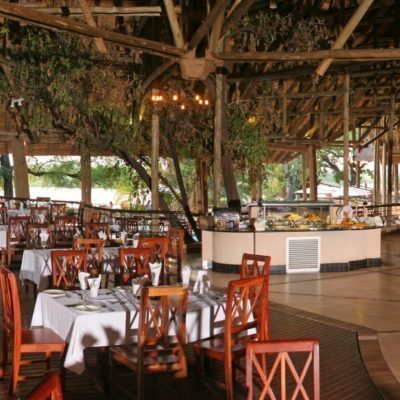 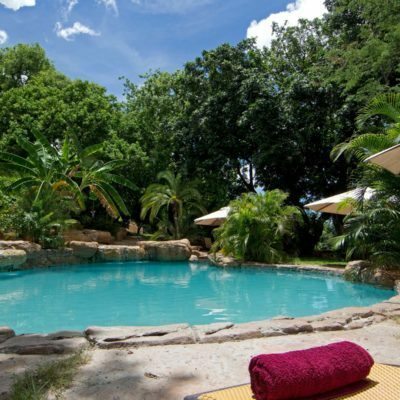 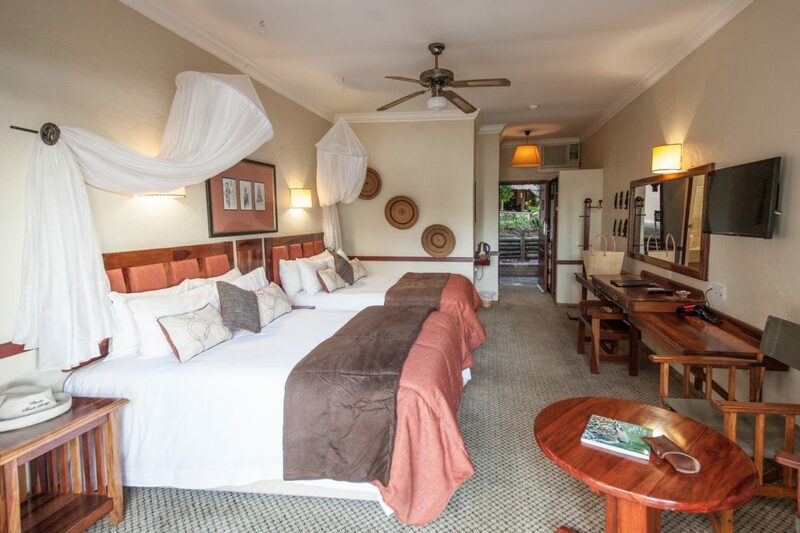 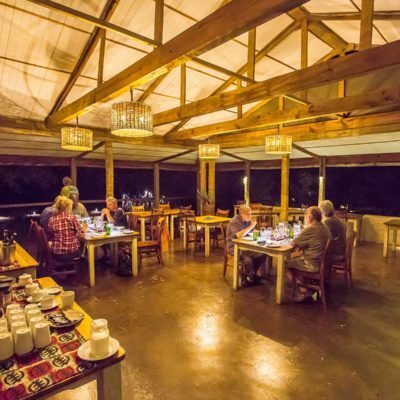 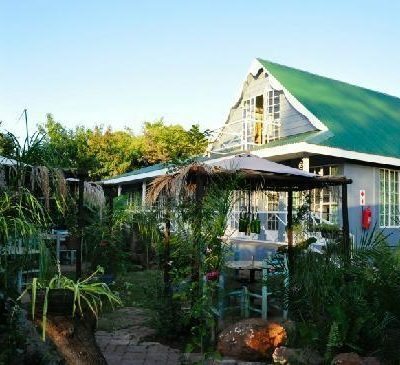 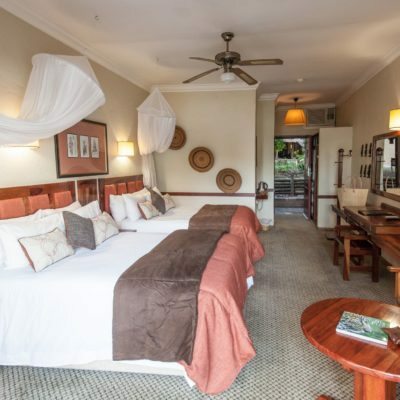 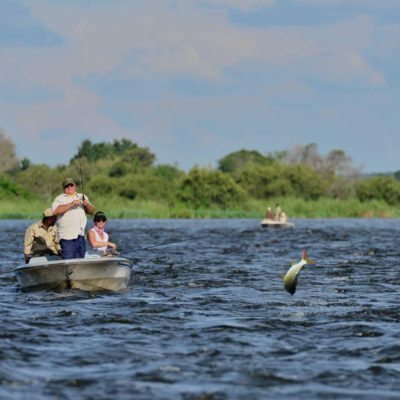 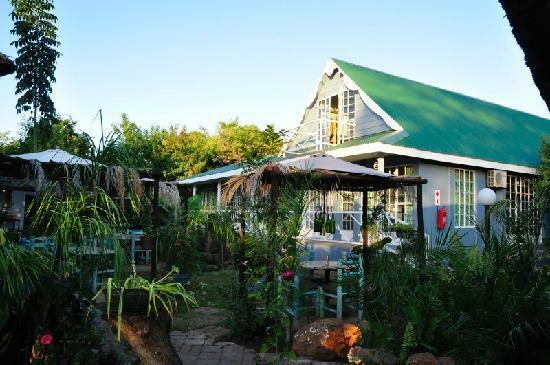 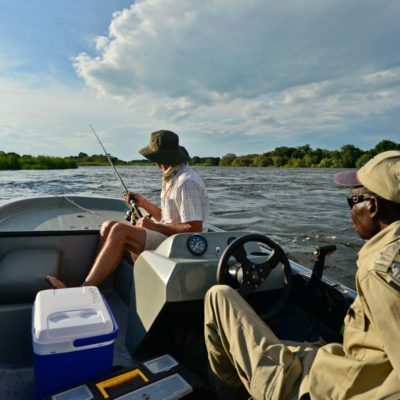 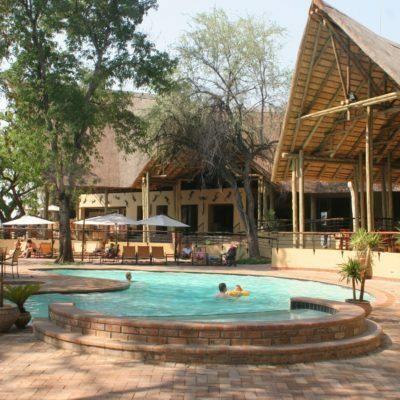 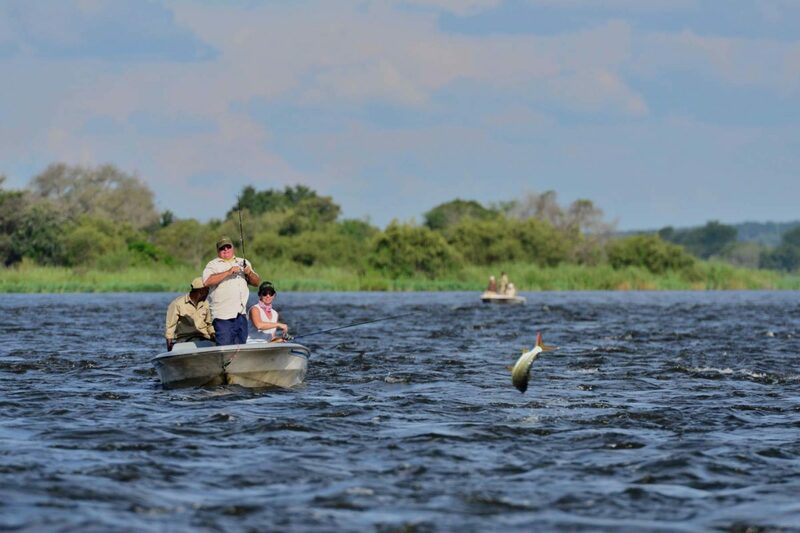 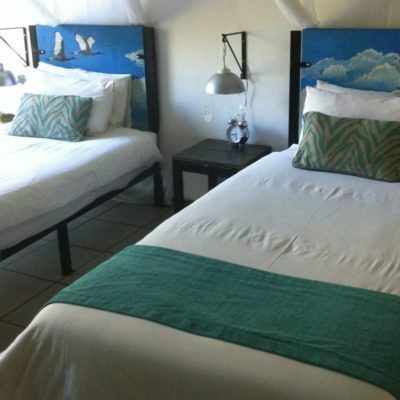 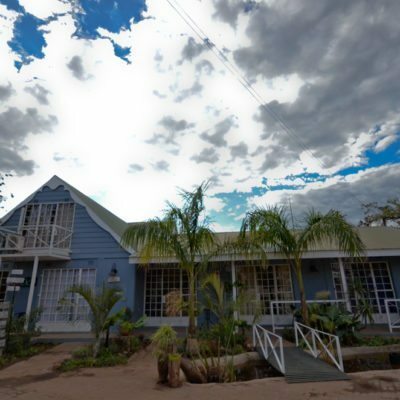 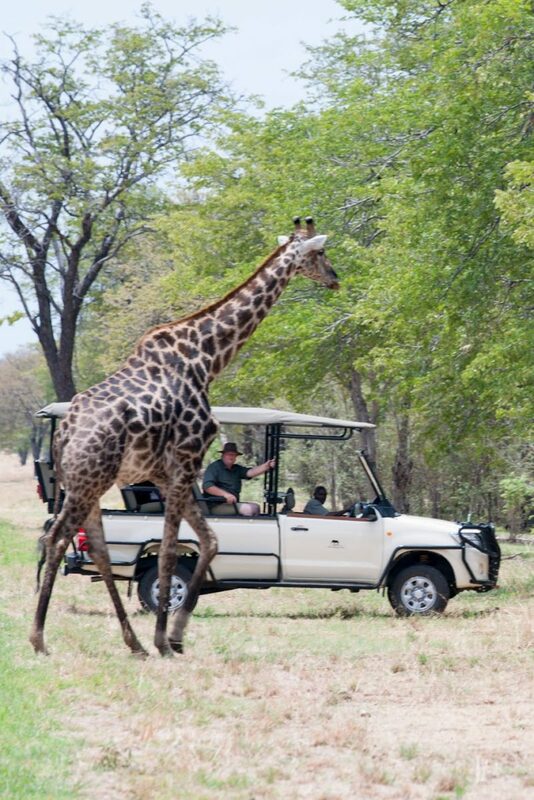 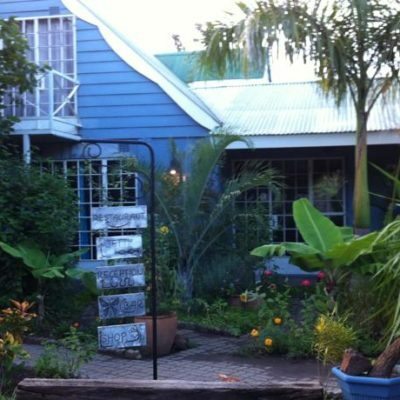 Activities here are based on the water with fishing, game viewing, bird watching all of high quality. 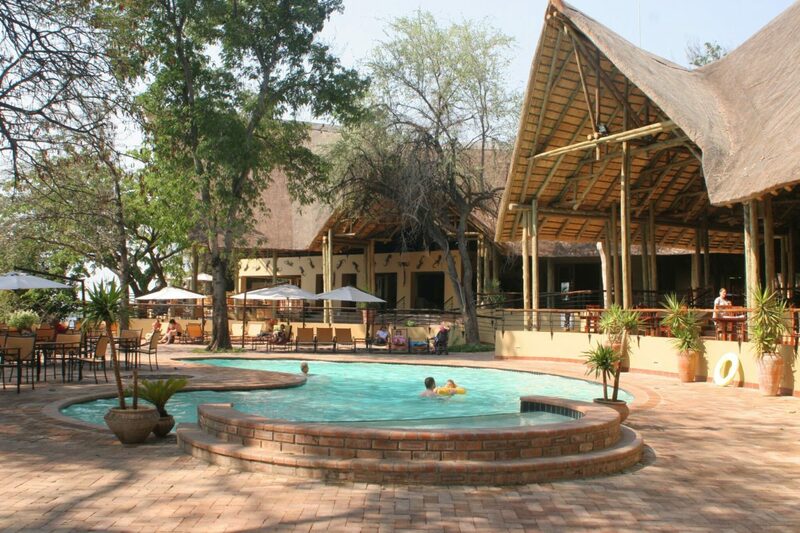 Cultural tours of local Namibian villages are also possible. 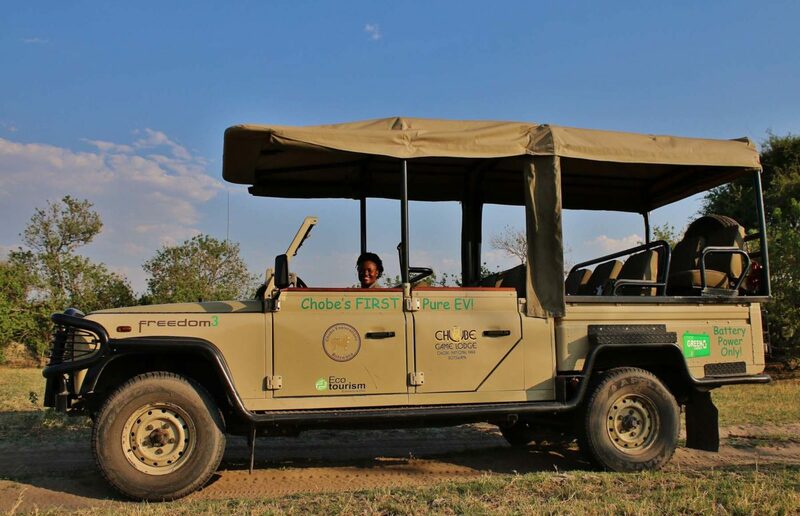 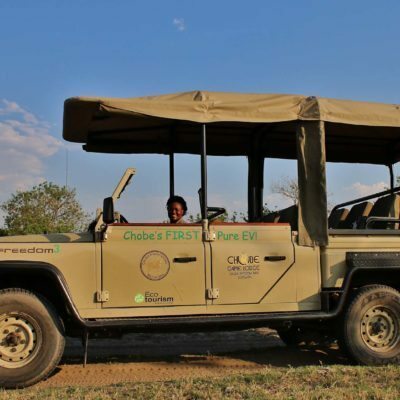 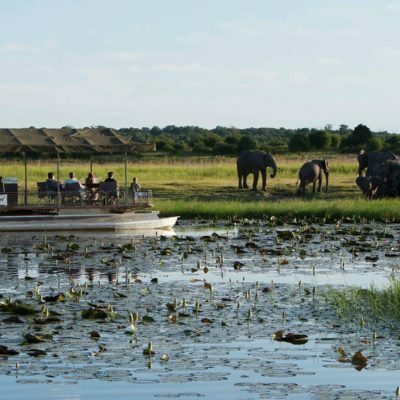 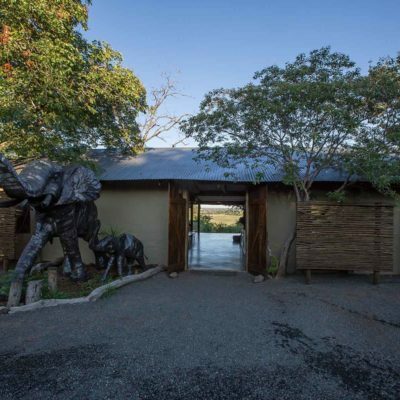 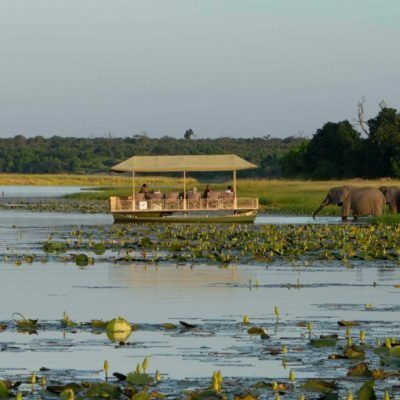 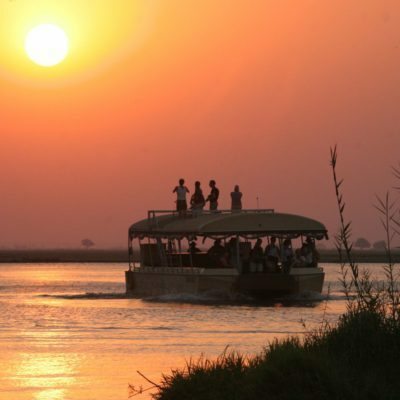 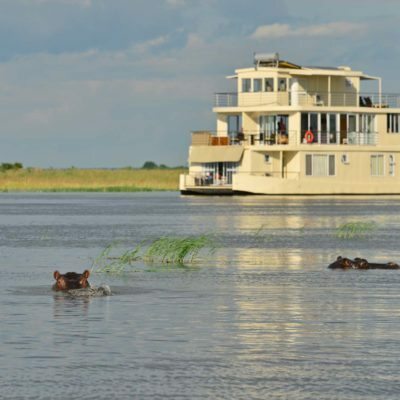 Note that, because the boats are located on the Namibian side of the river, game drives inside the Chobe National park are not possible while on the houseboat. 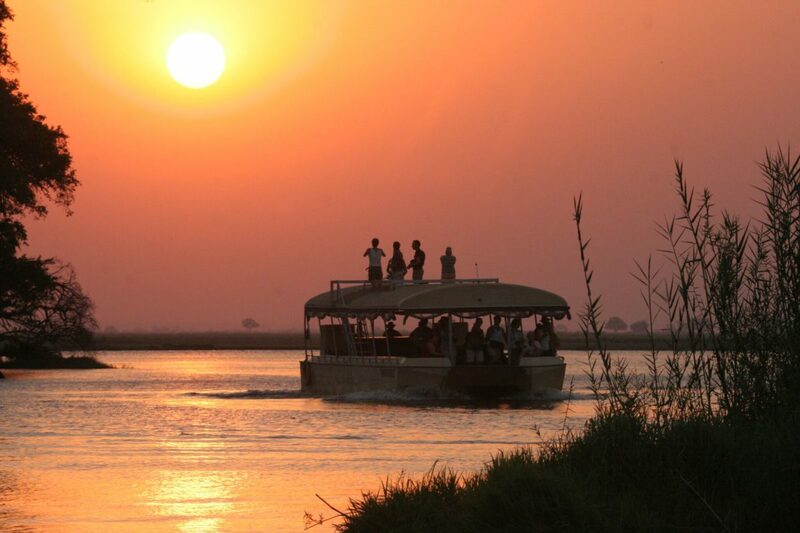 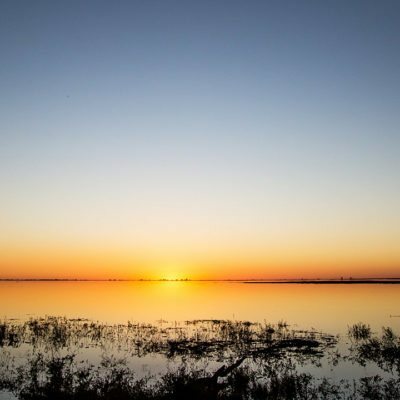 Sunsets, when all the other boat and vehicle traffic have long since returned back to the Botswana mainland, are simply exquisite from the top deck of the houseboat! 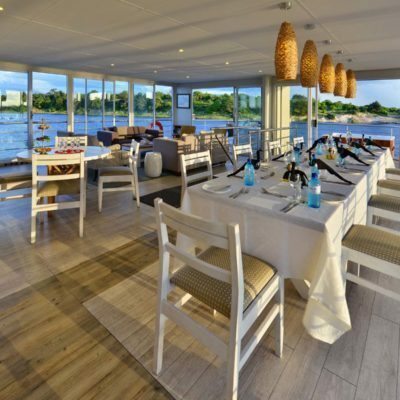 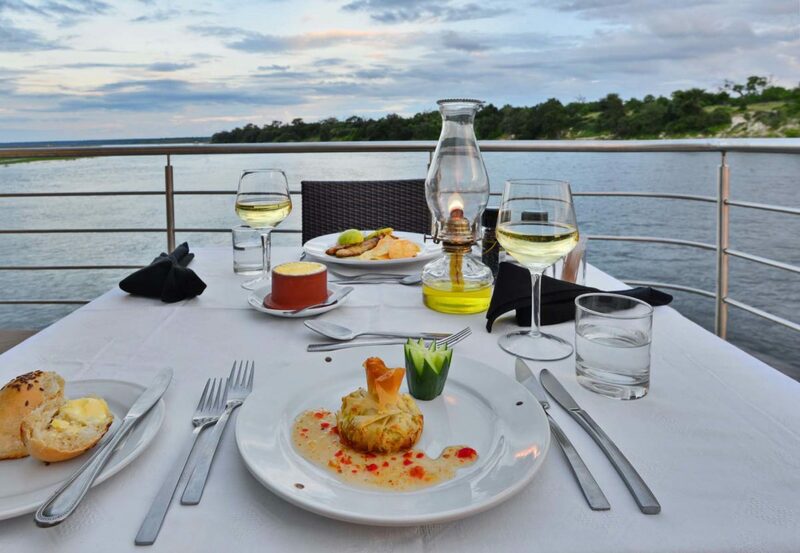 Each cabin on board the Chobe Princesses is tastefully decorated in a contemporary style, and each has its own private view through large windows. 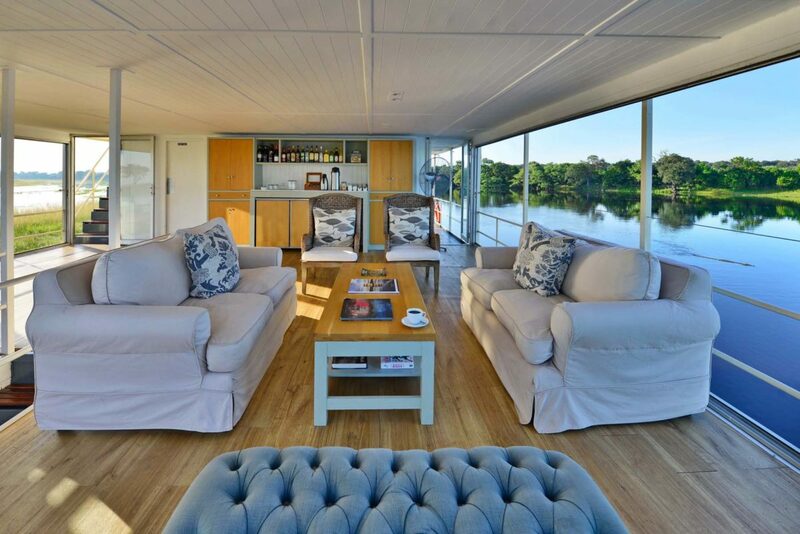 On the upper entertainment deck, a spacious lounge and bar area encourages you to take time out while there’s also a plunge pool that’s perfect for a refreshing dip. 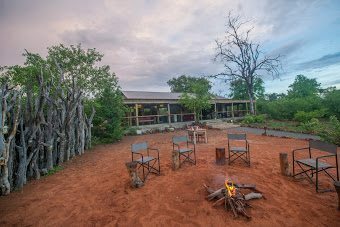 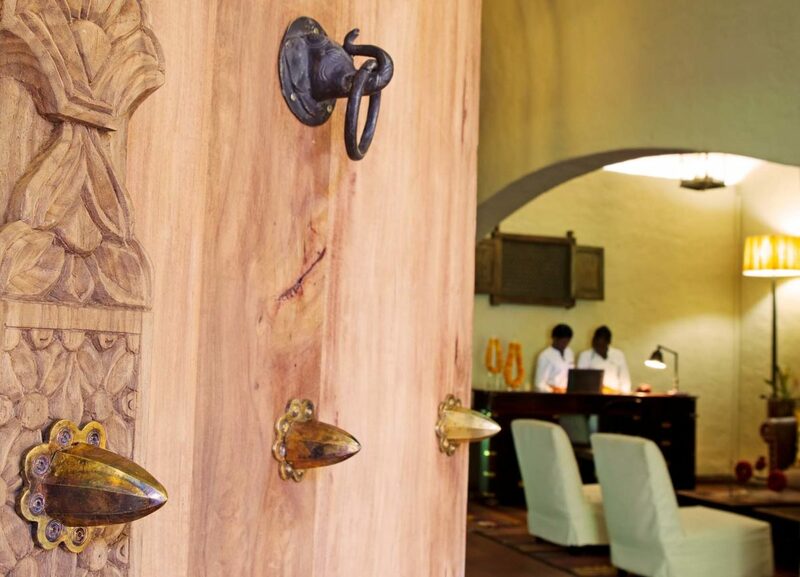 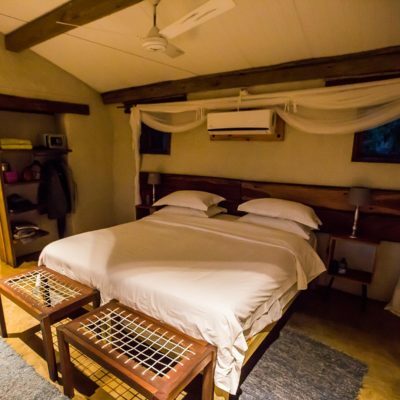 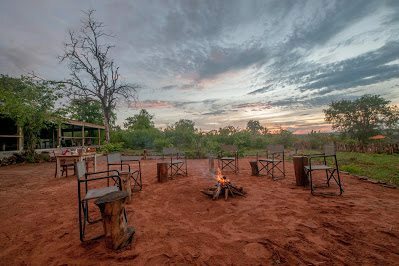 After a day spent doing as you please, fall asleep with the calls of hyena, or even lion drifting through the open doors of your cabin. 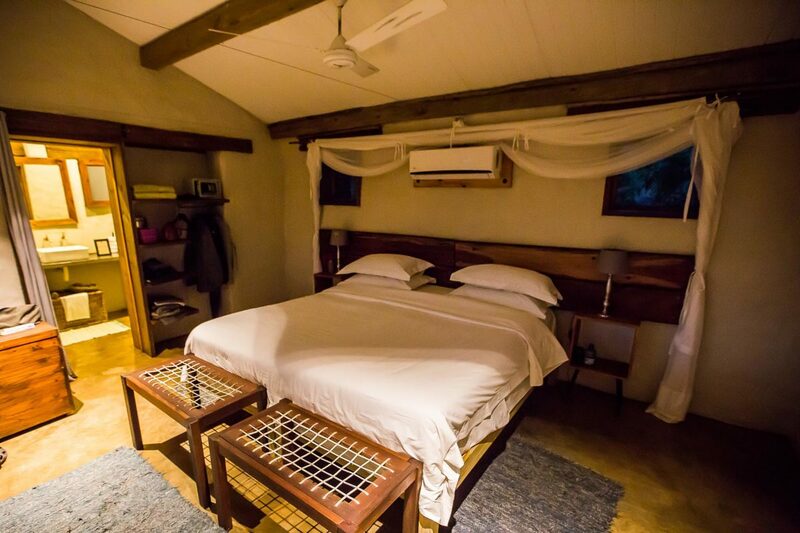 Amazingly, the cabins are now all air conditioned, but from experience, we prefer the cooling river breeze. 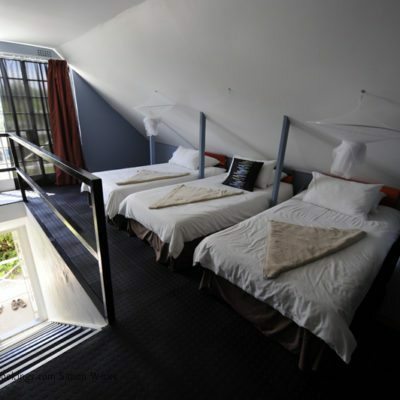 Each window does have mosquito gauze to take advantage of this. 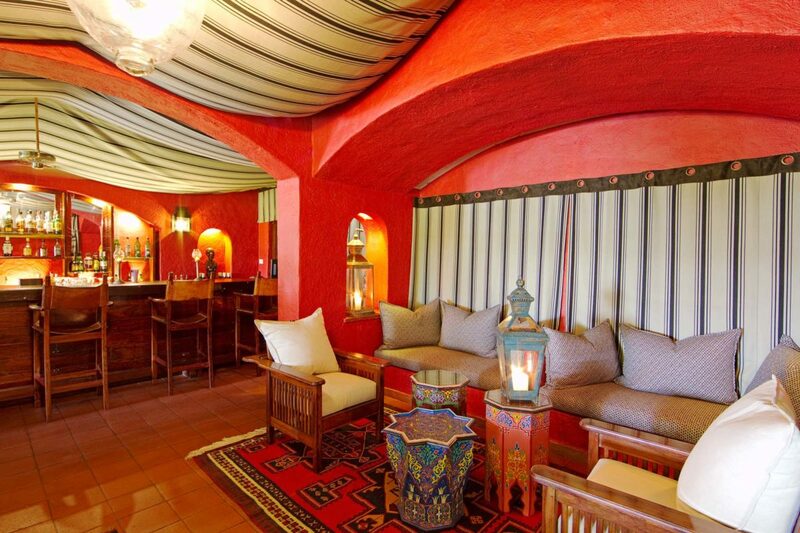 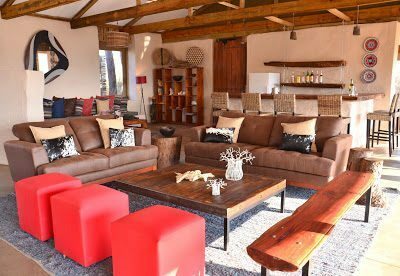 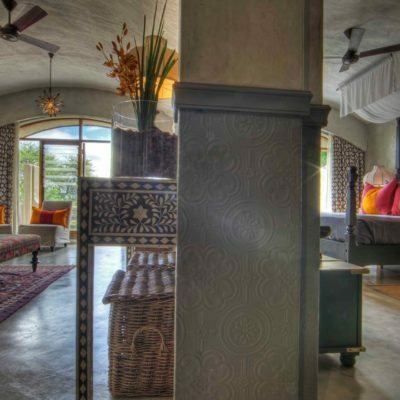 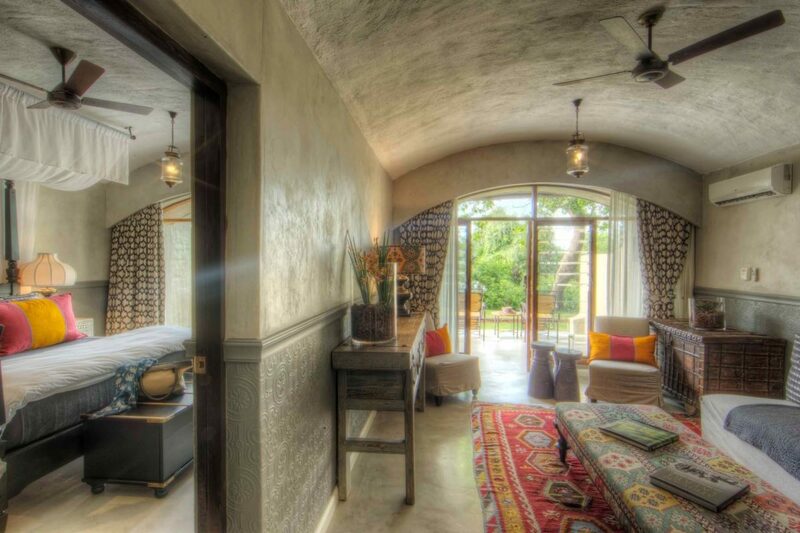 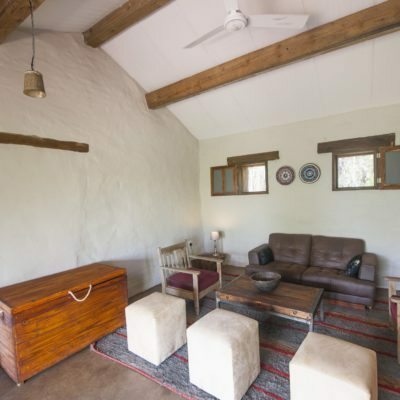 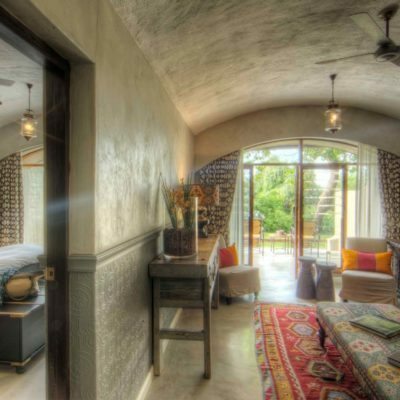 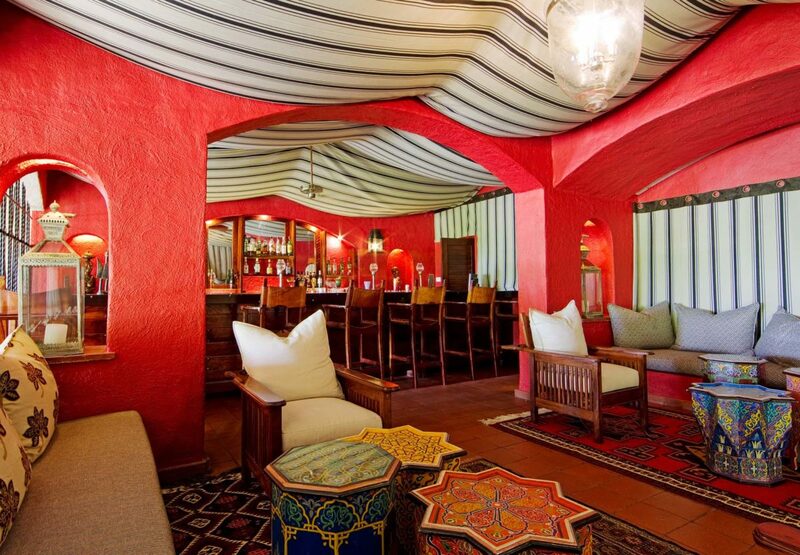 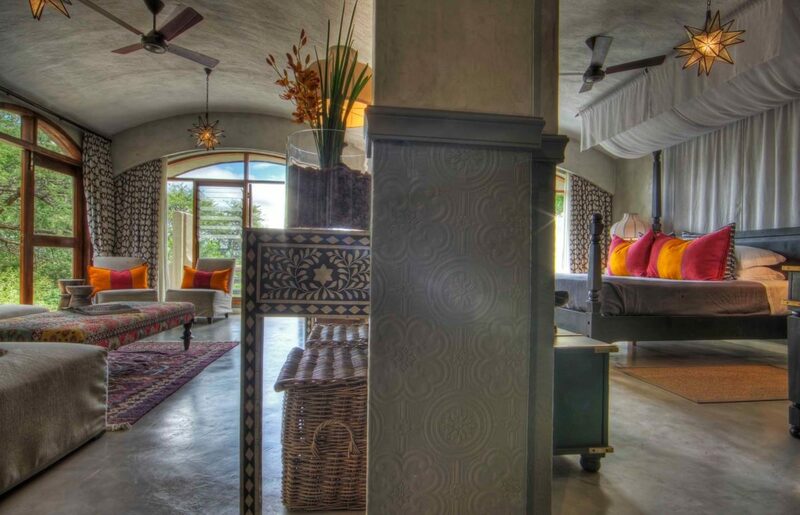 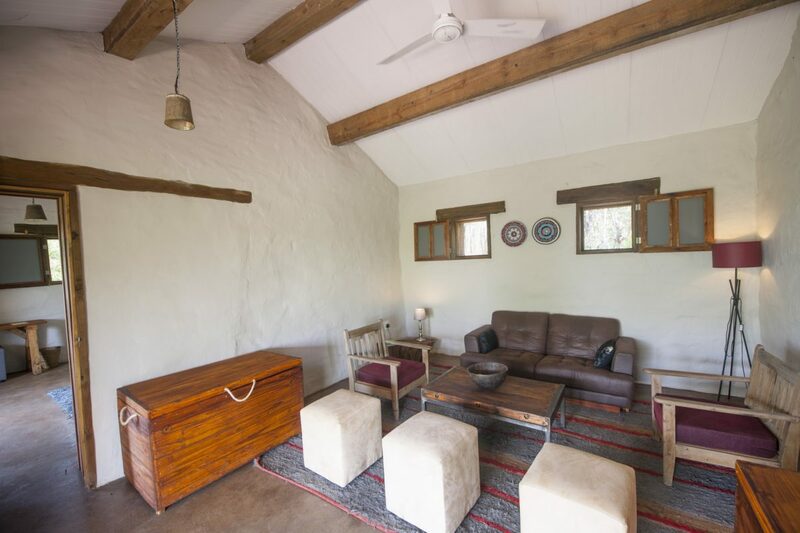 The upstairs living area is as comfortable as any mainland lodge, with over-sized leather couches, sun loungers and best of all, a plunge pool. 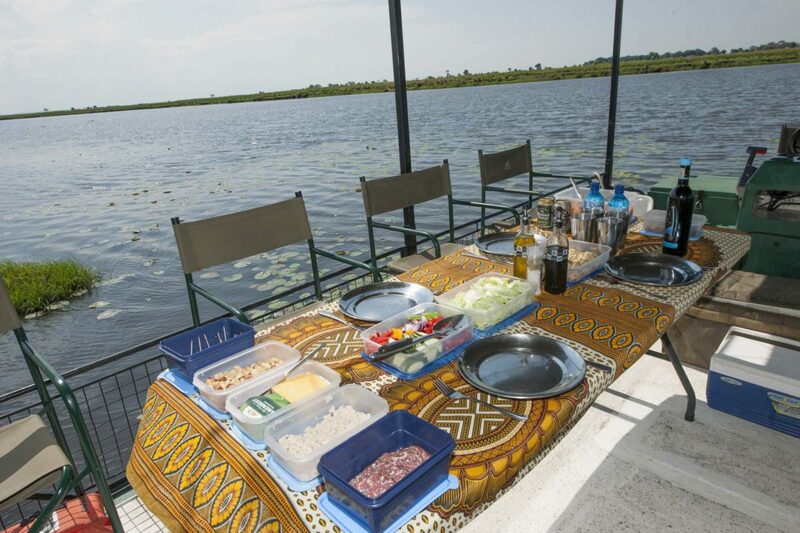 Houseboat staff are very attentive and the bar is extremely well stocked. 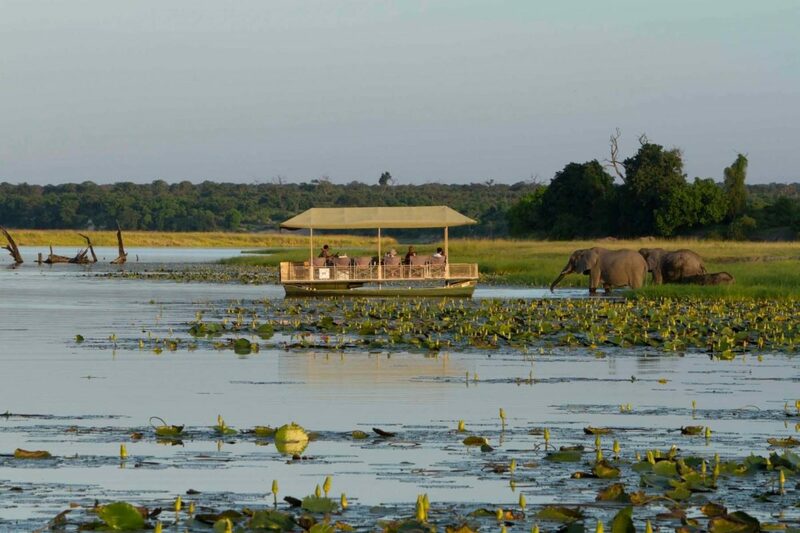 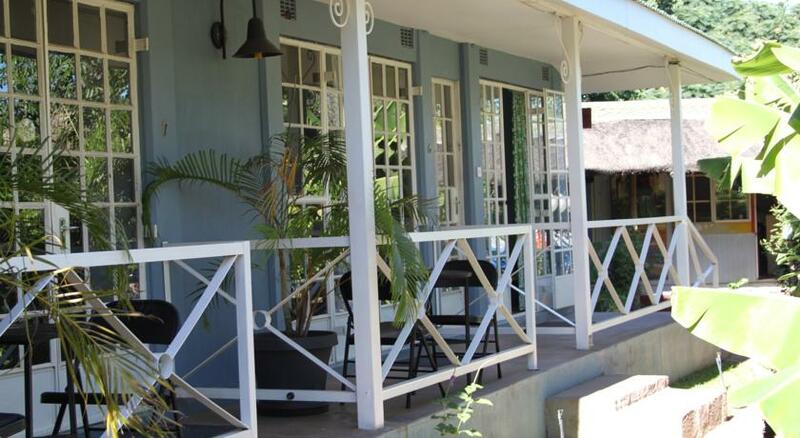 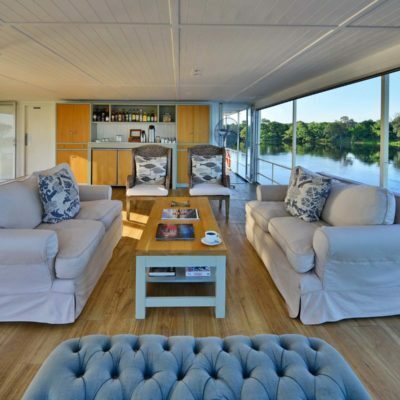 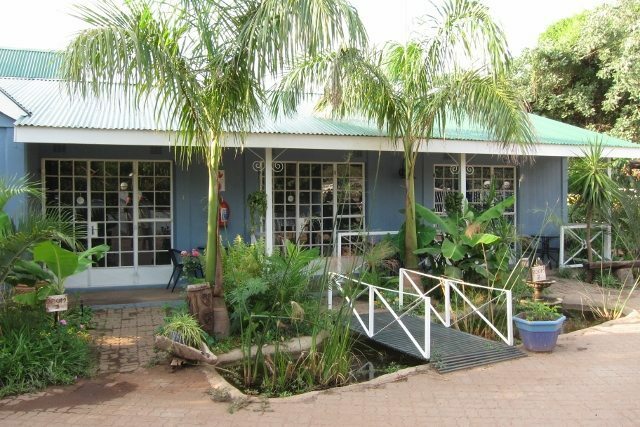 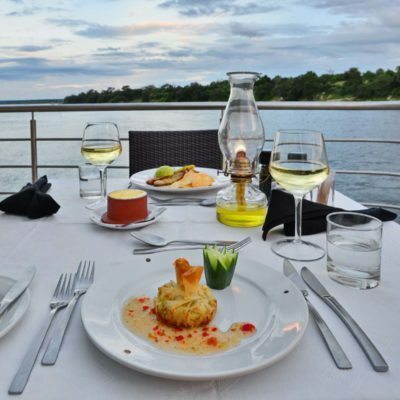 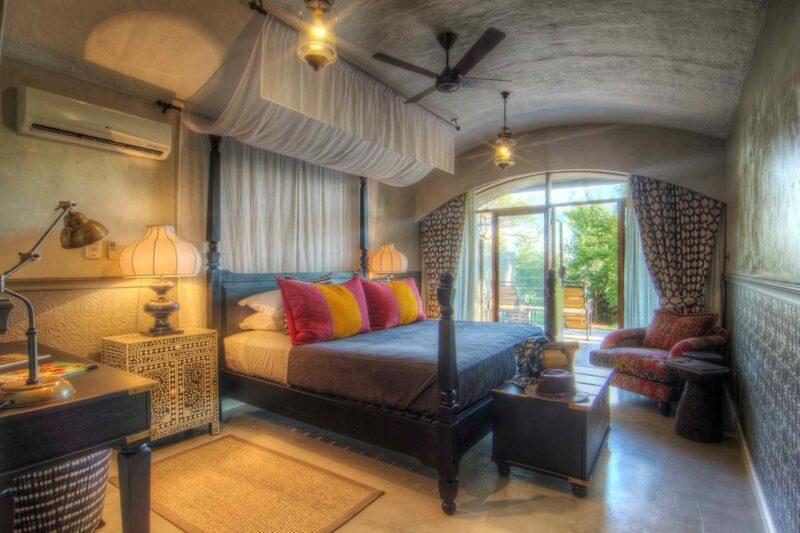 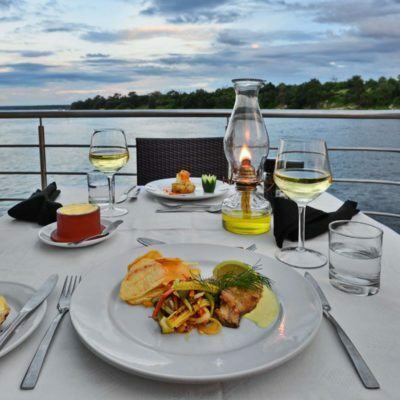 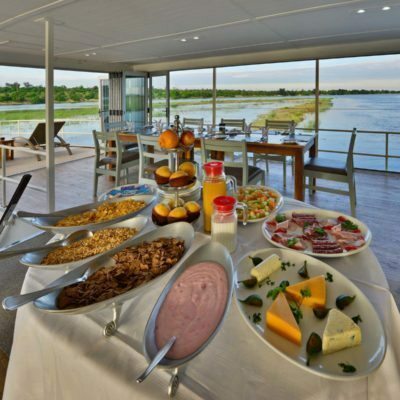 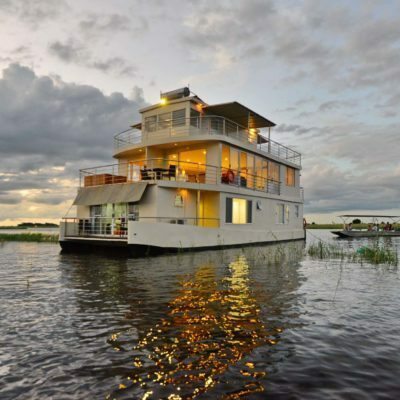 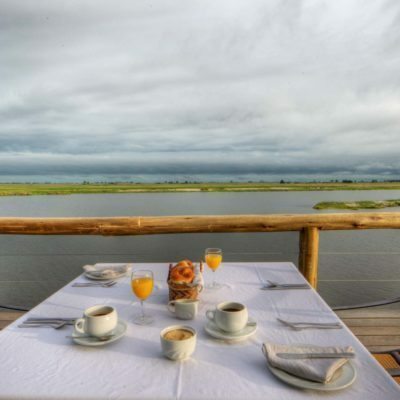 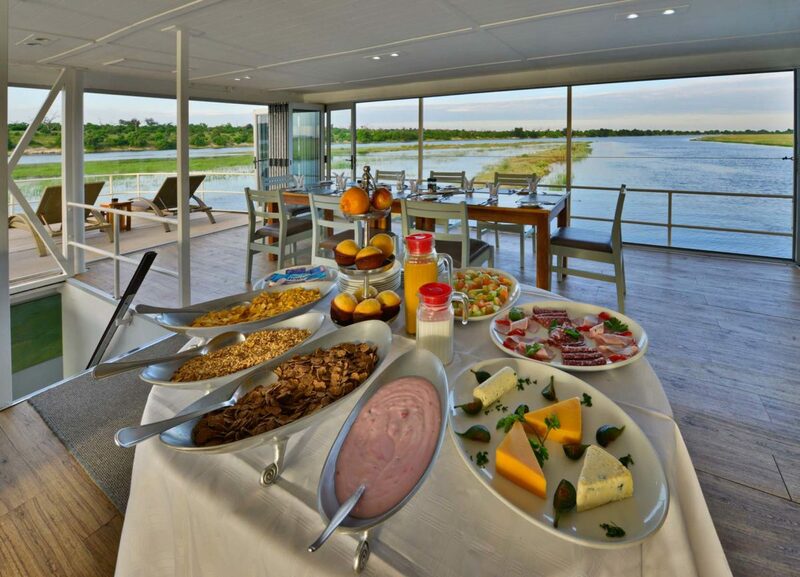 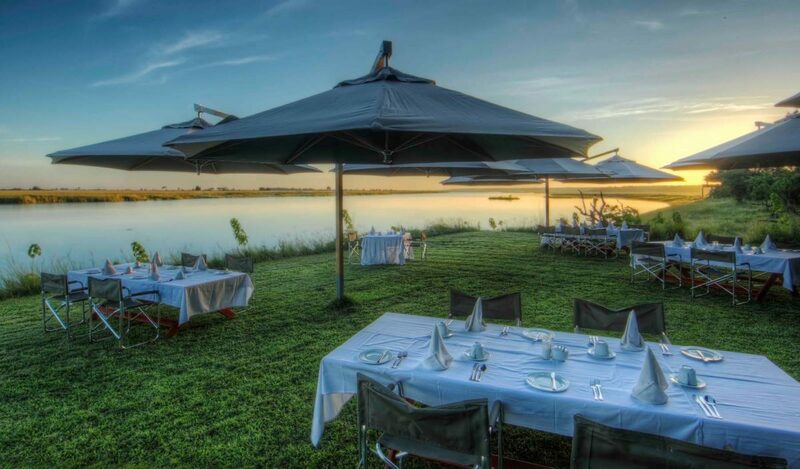 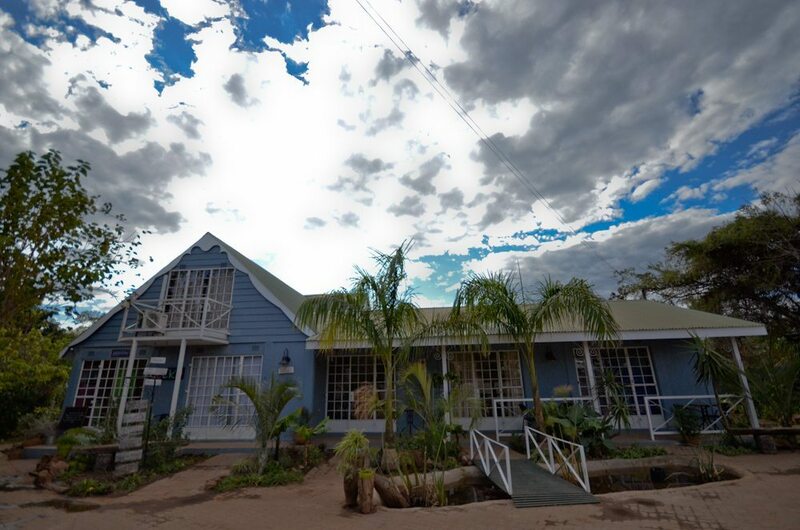 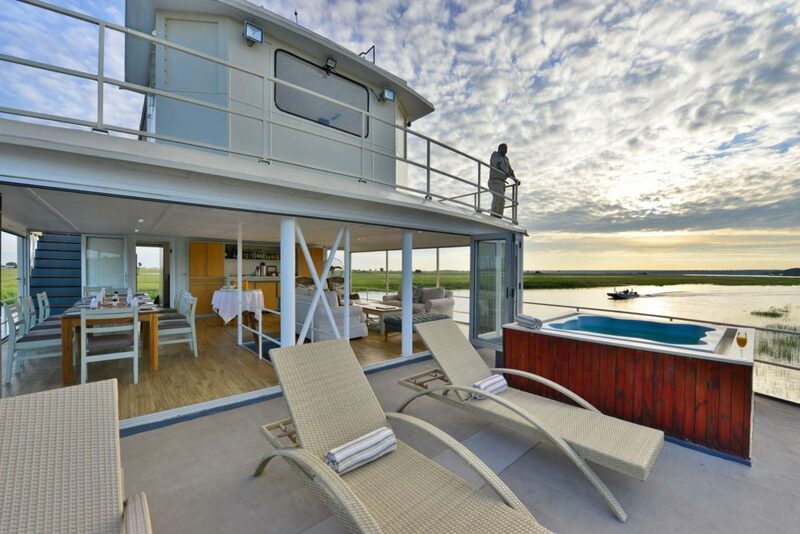 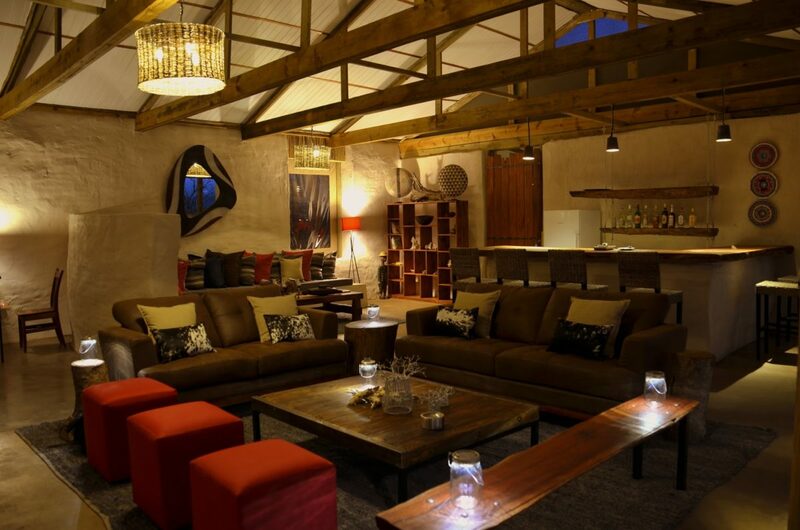 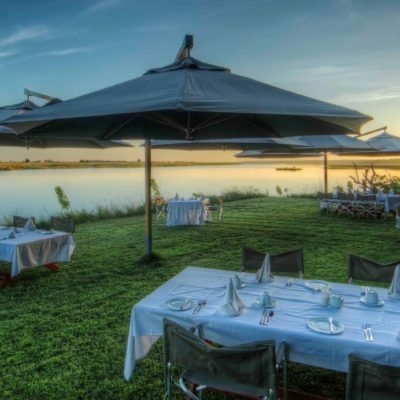 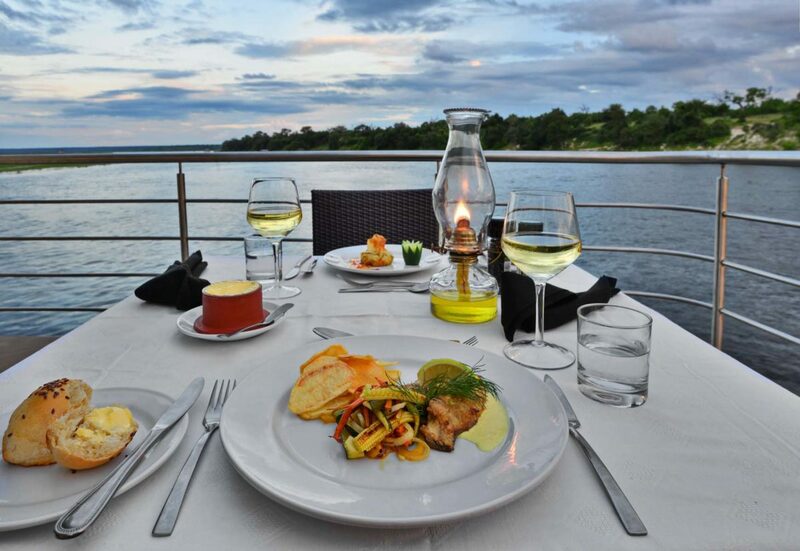 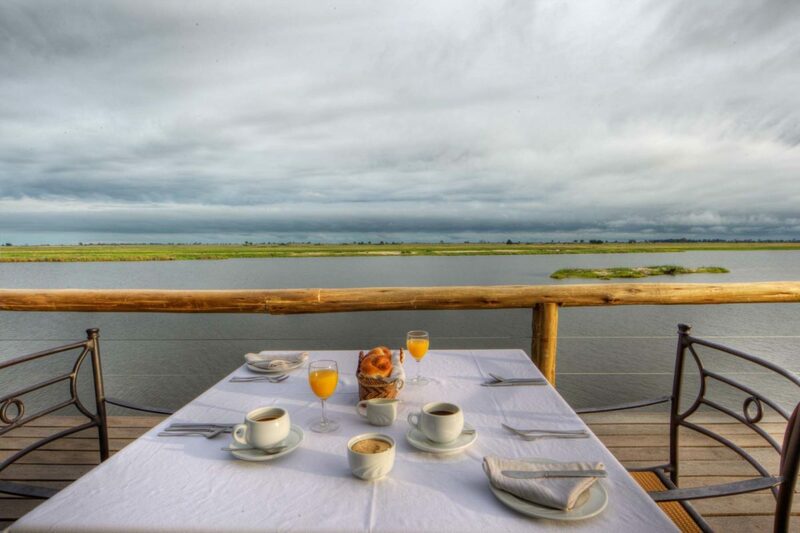 We think the houseboat experience might be the best option on offer in Chobe. 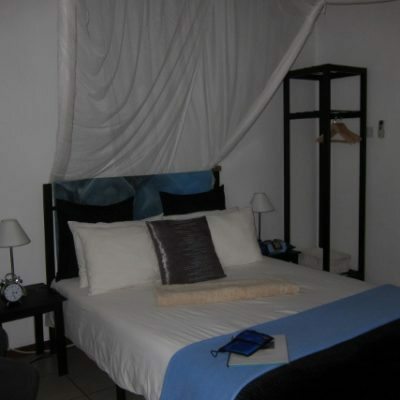 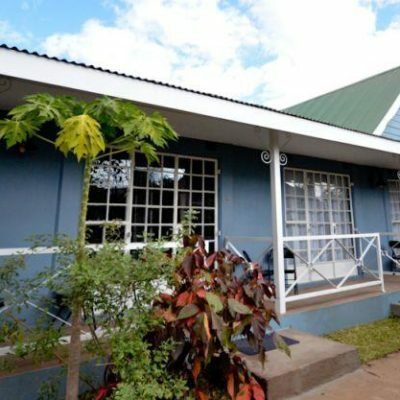 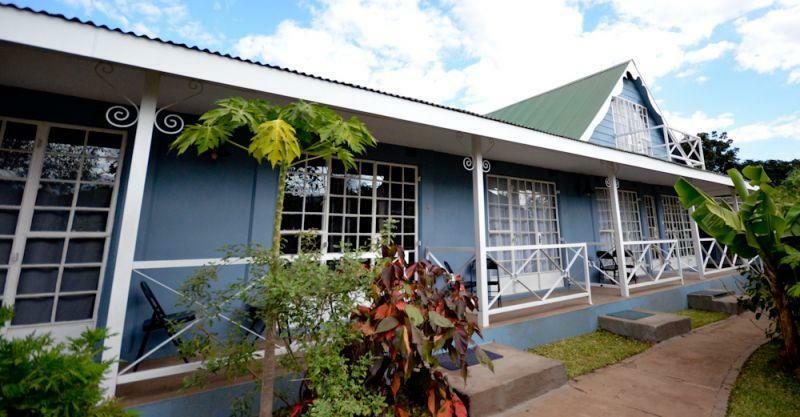 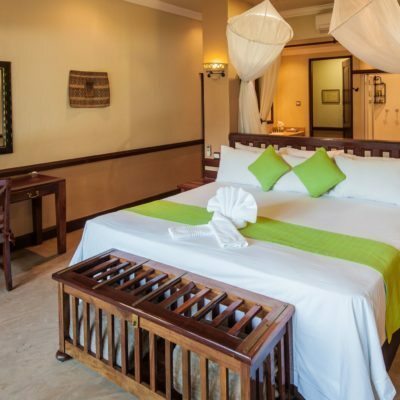 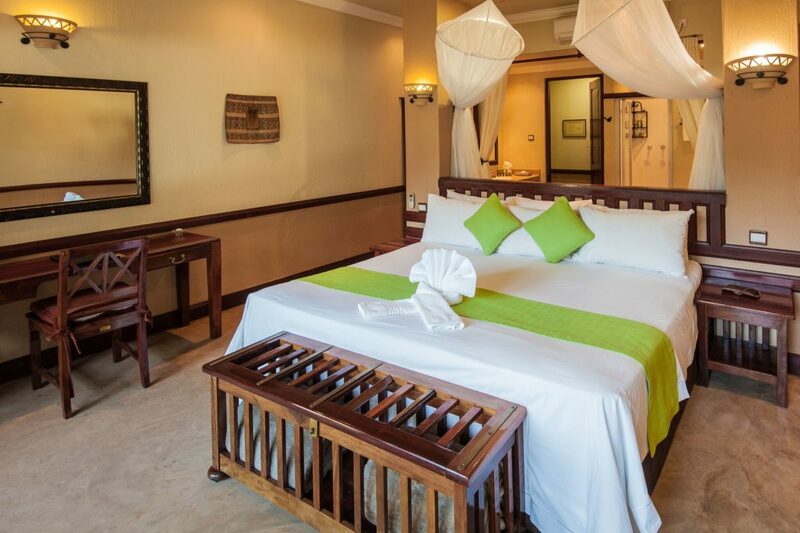 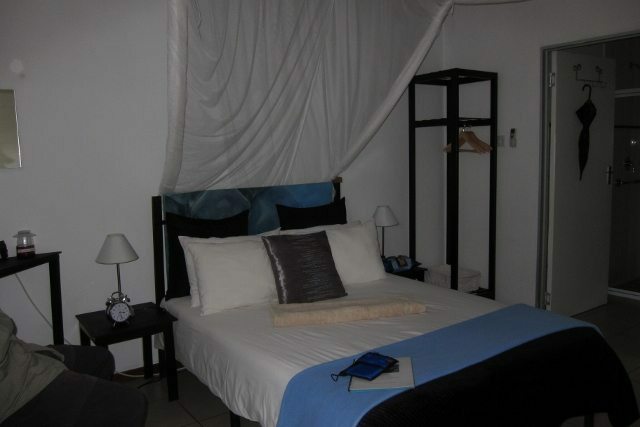 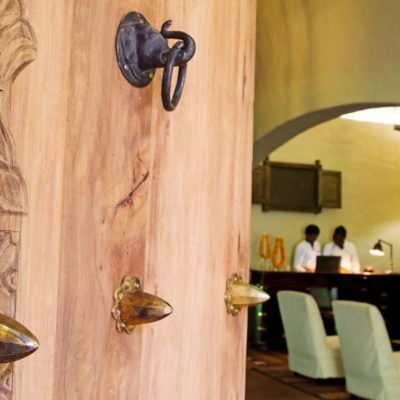 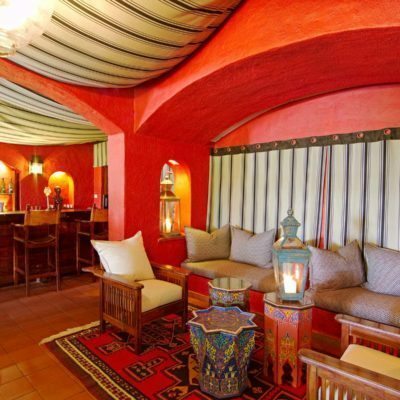 Further, relative to other mainland lodges, the price is excellent!